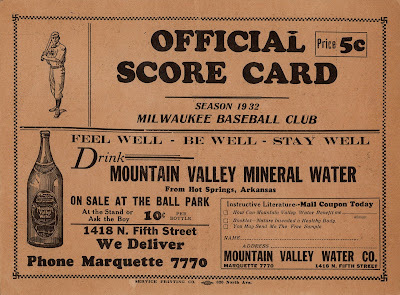 "You can't tell the players without a score card!" 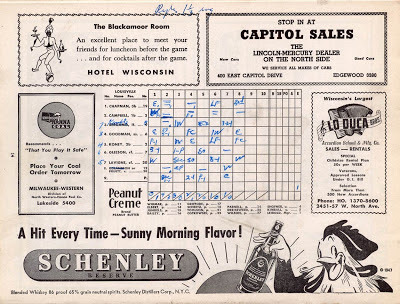 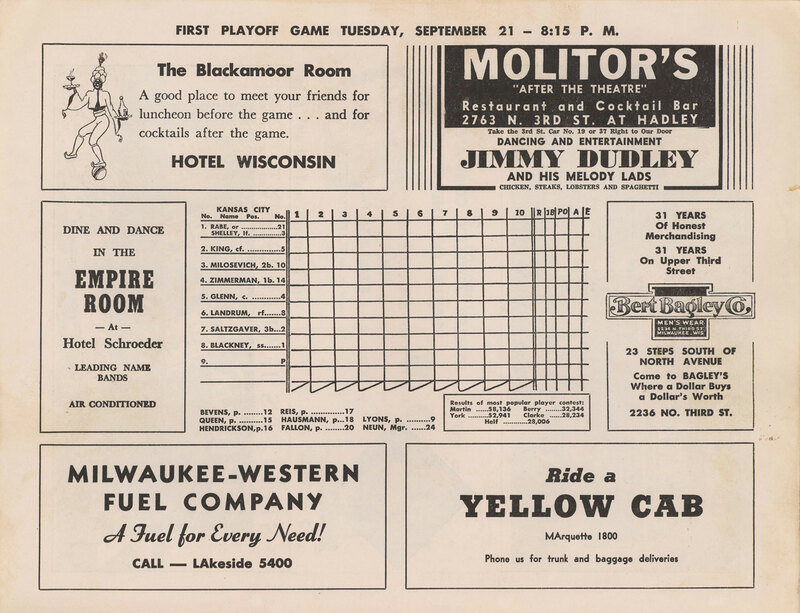 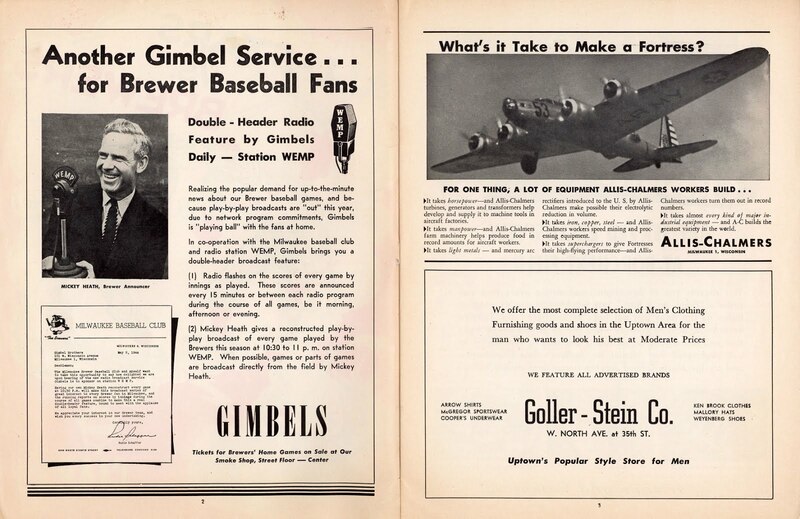 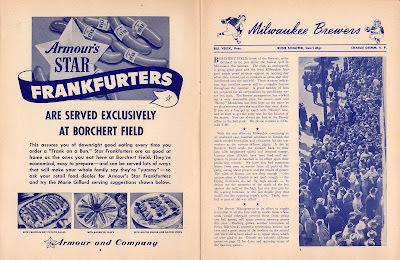 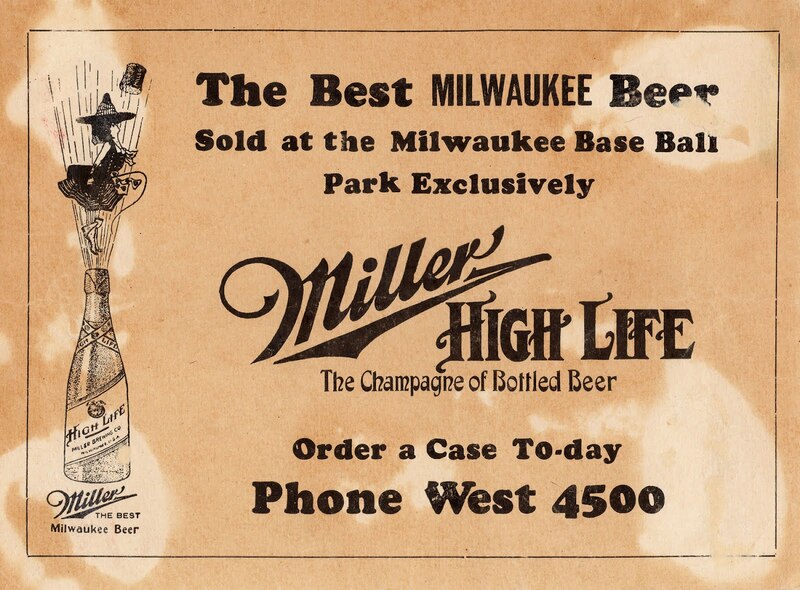 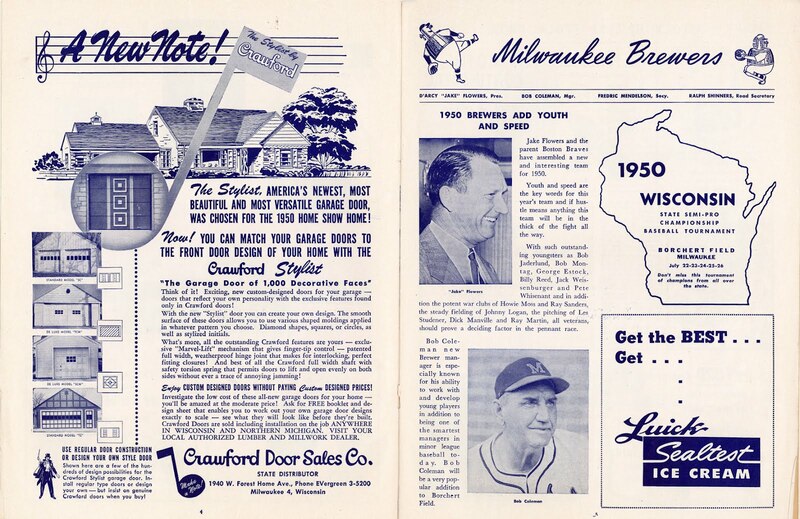 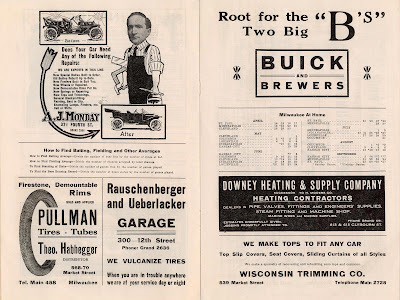 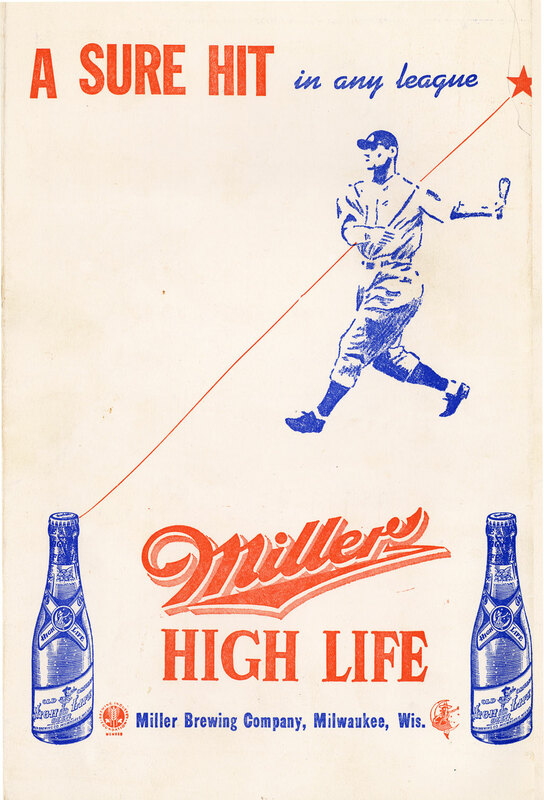 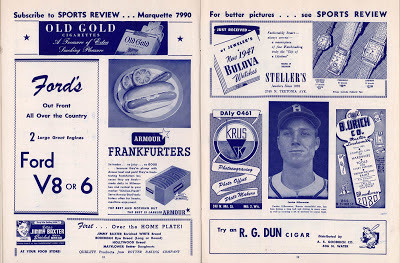 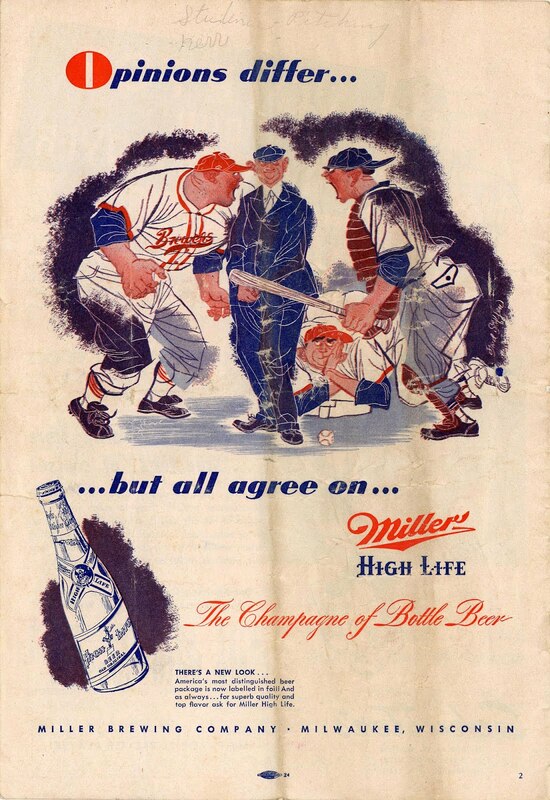 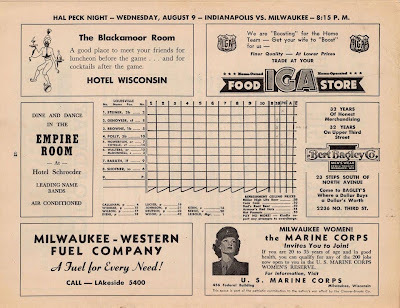 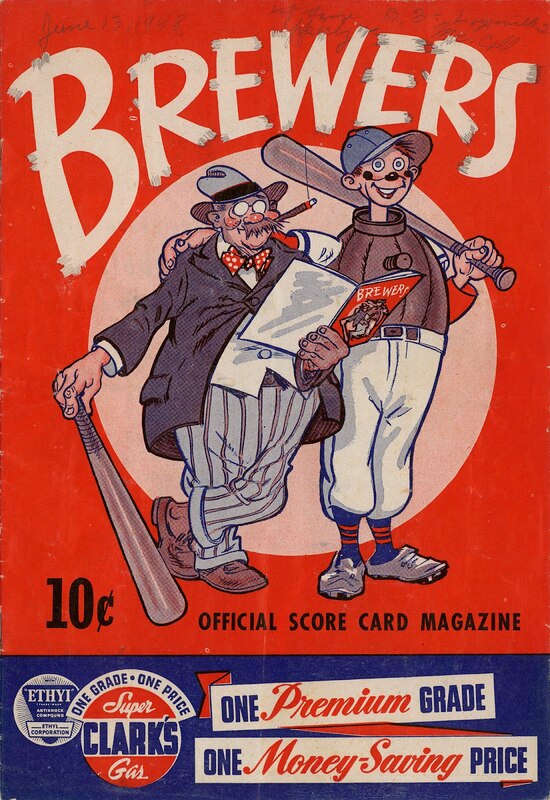 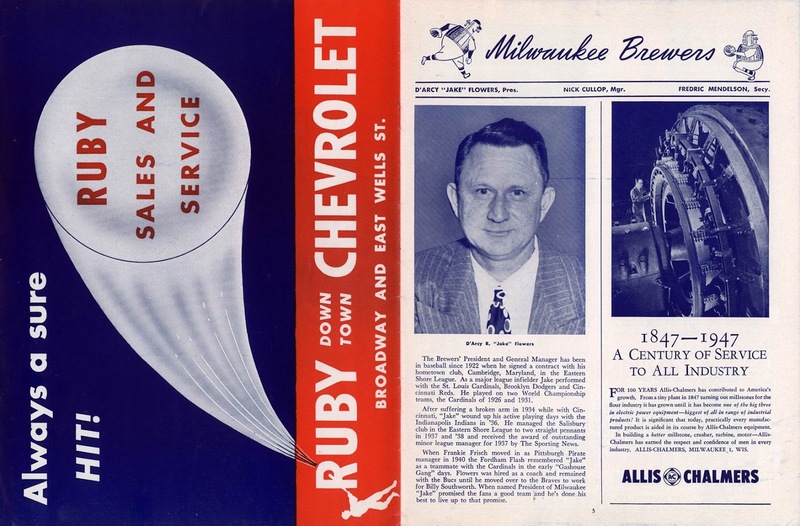 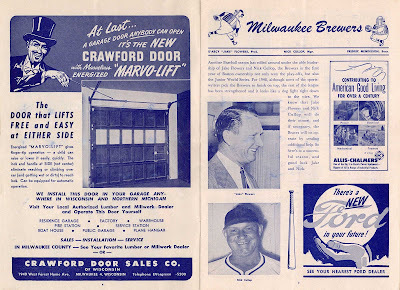 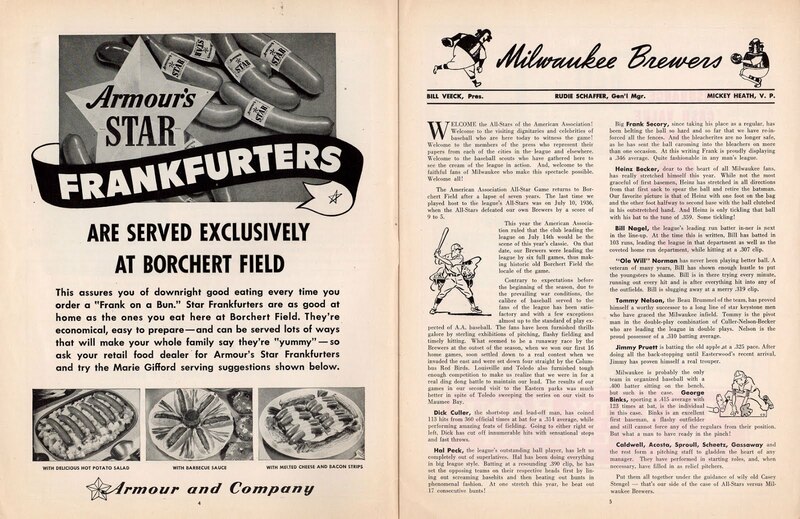 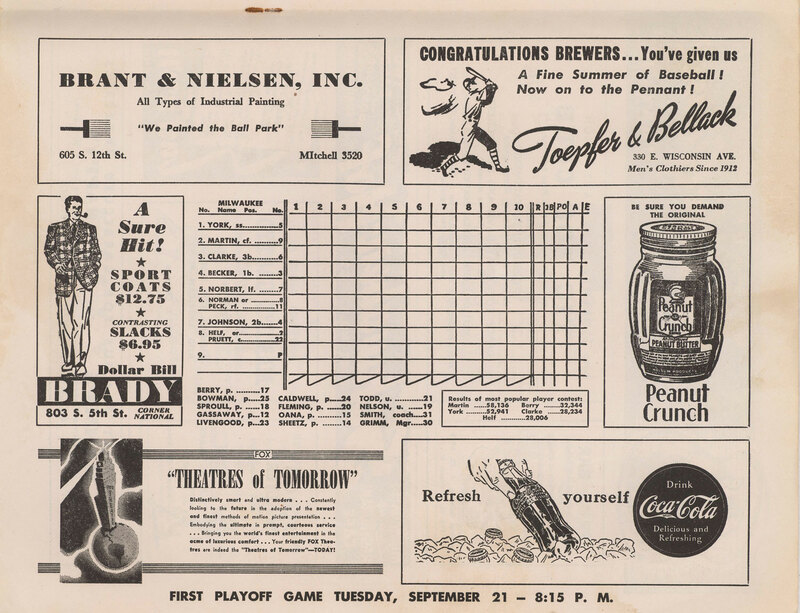 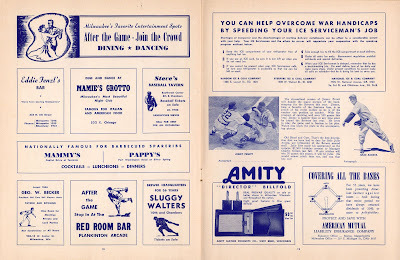 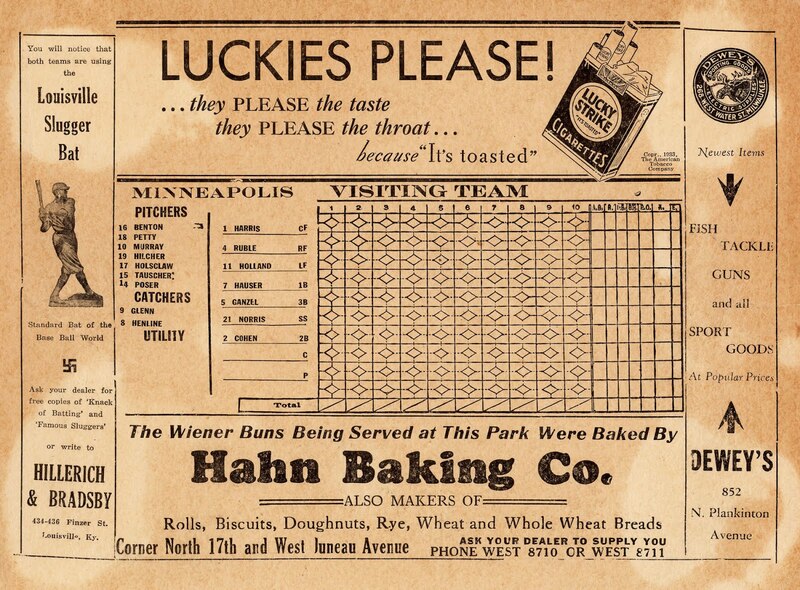 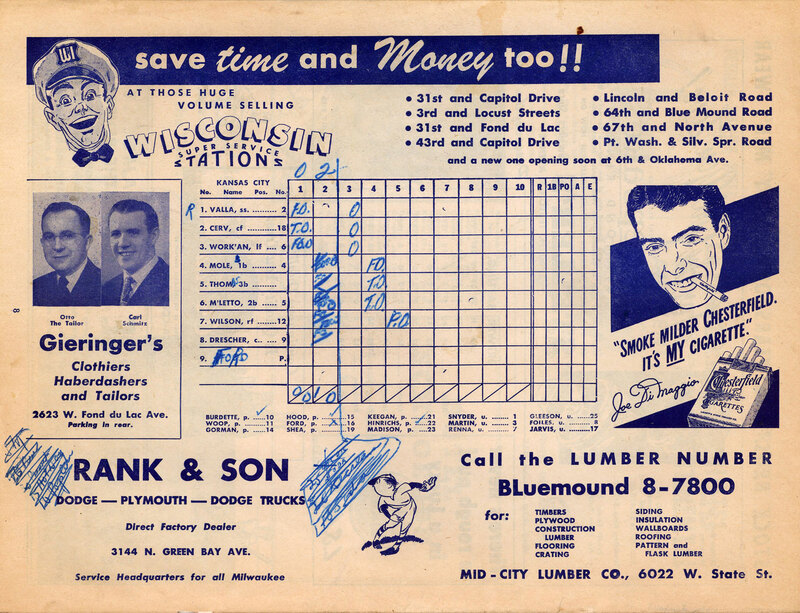 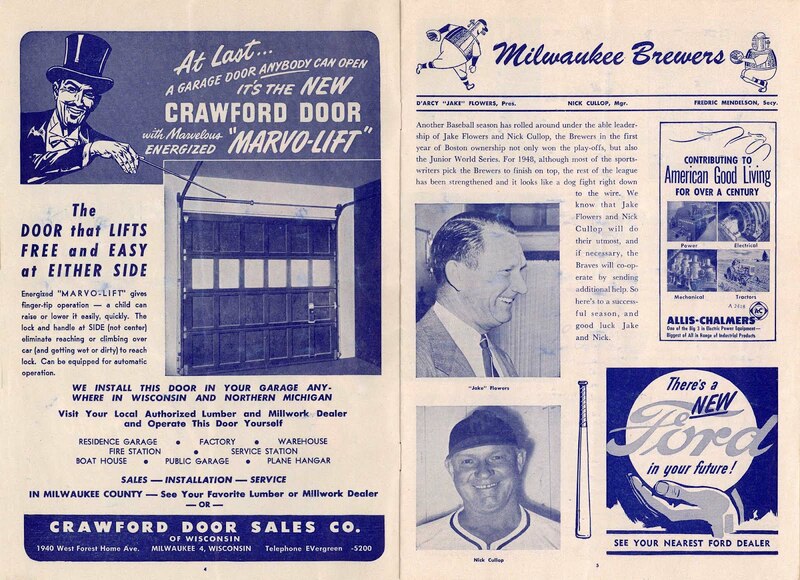 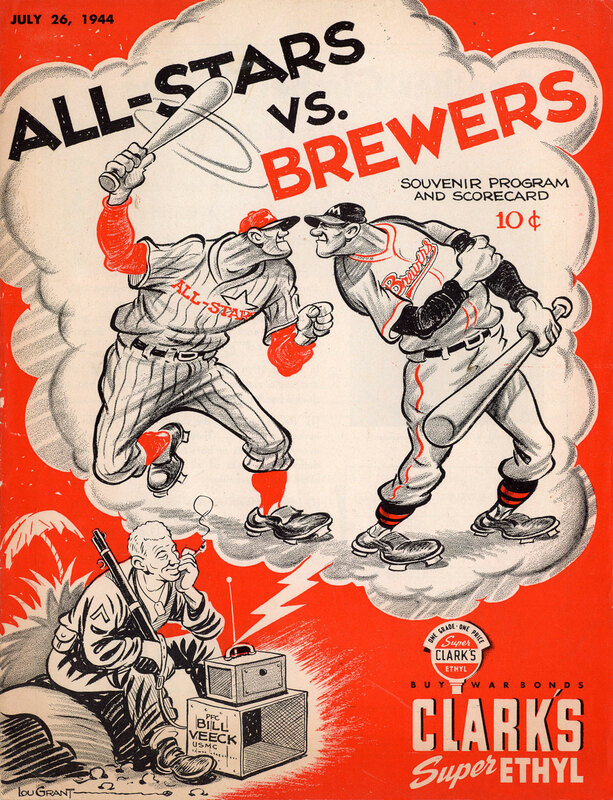 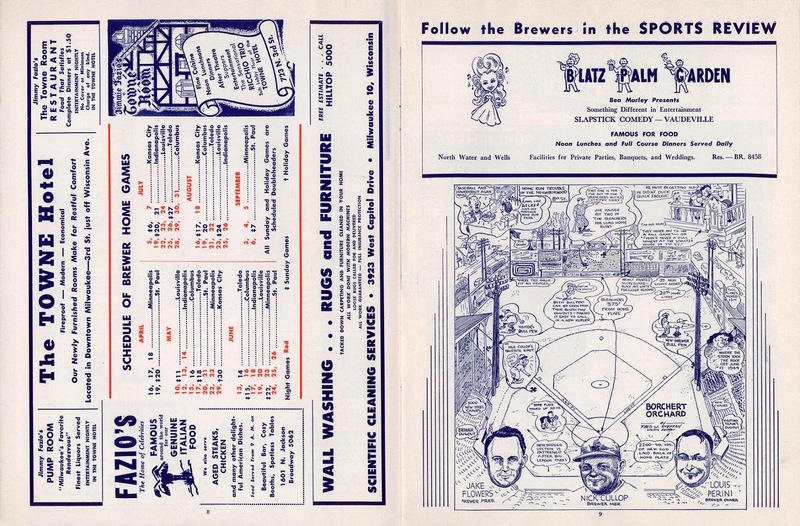 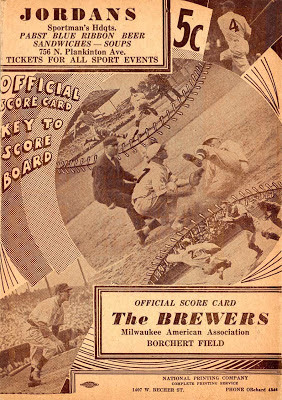 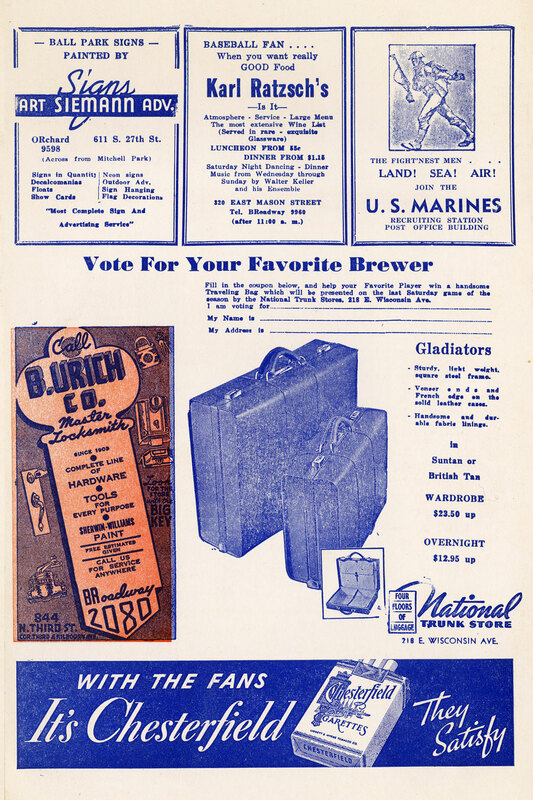 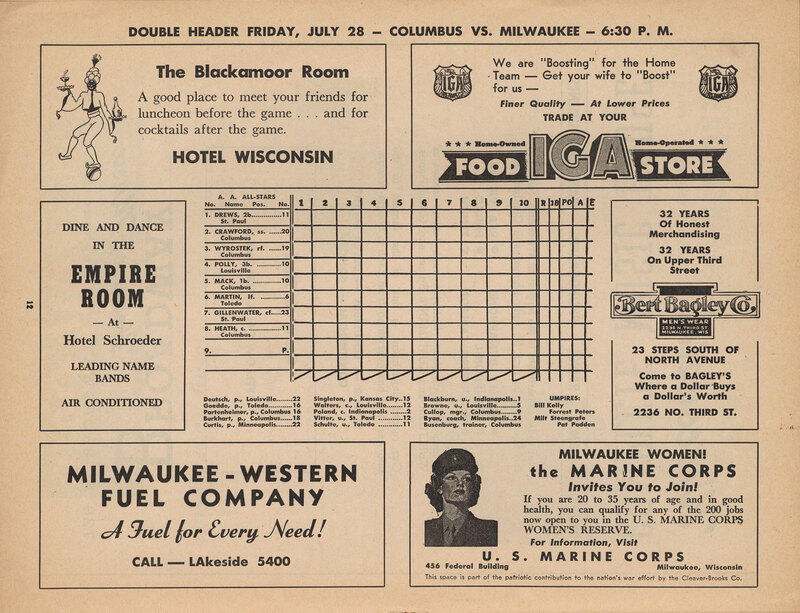 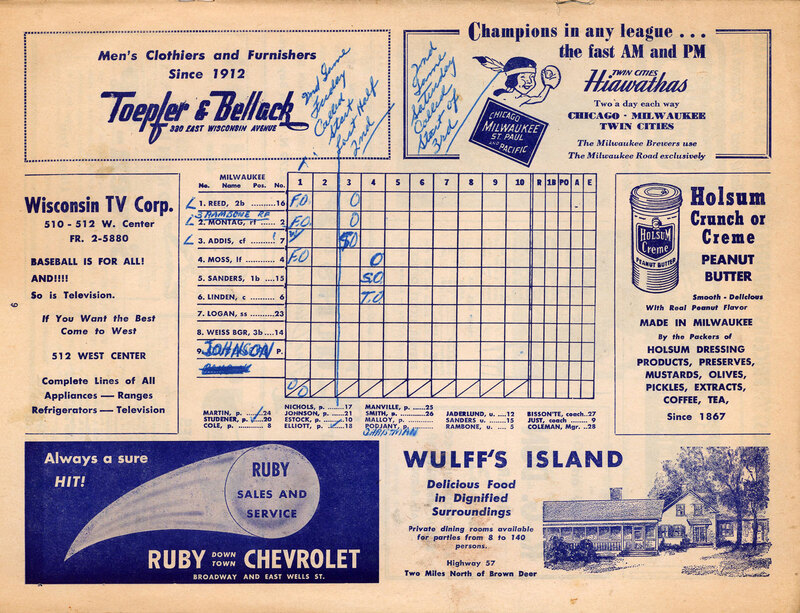 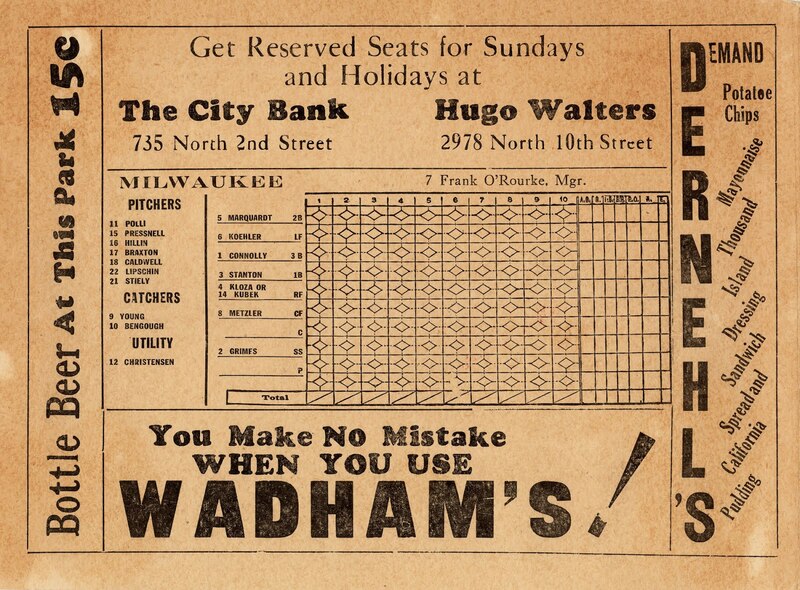 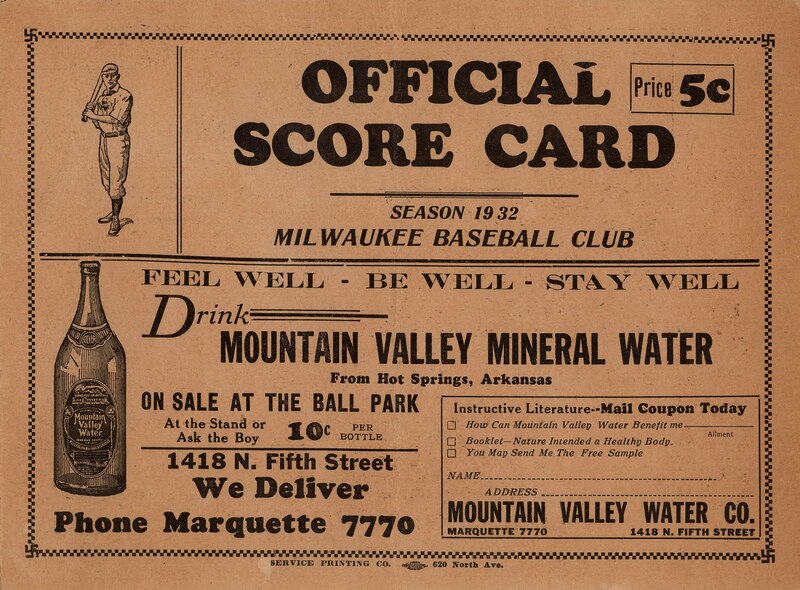 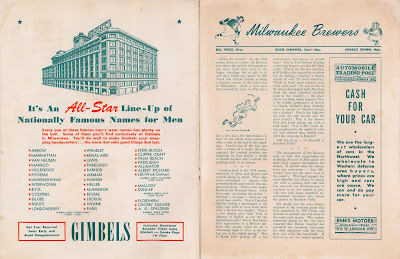 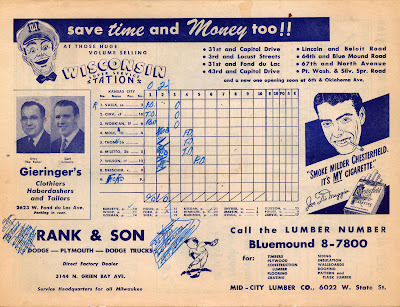 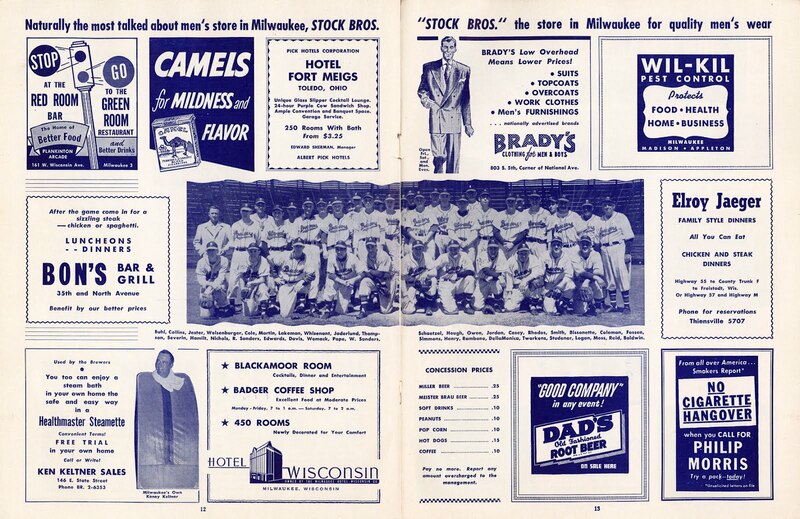 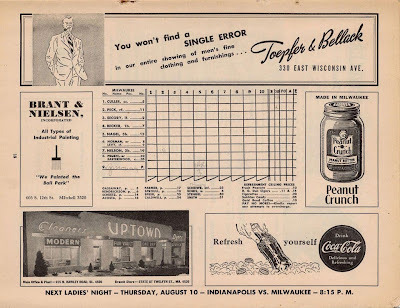 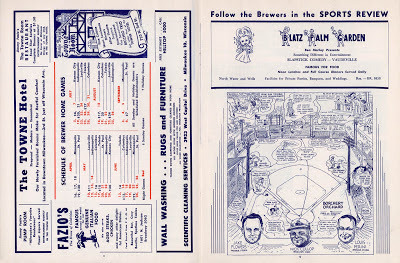 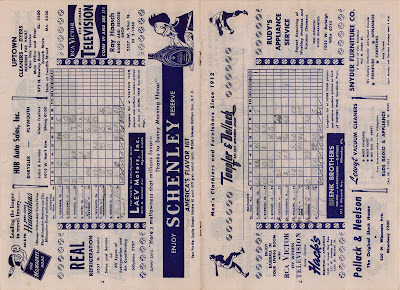 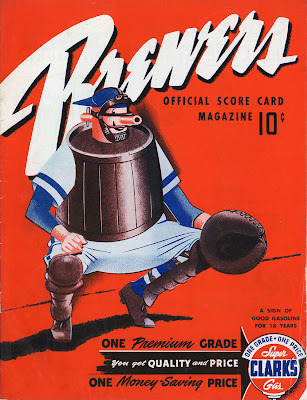 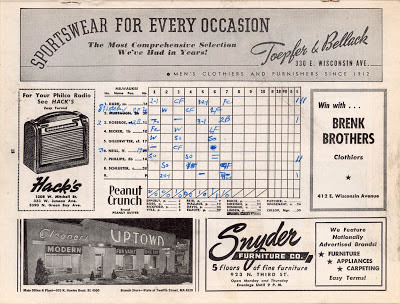 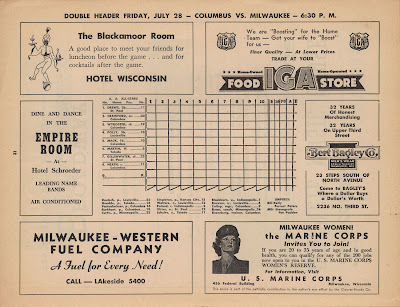 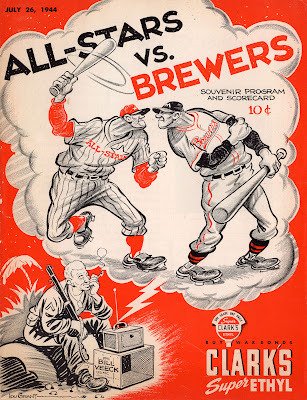 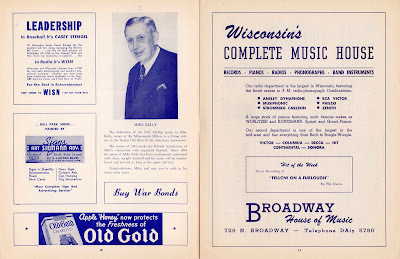 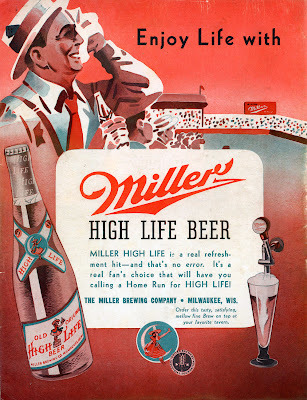 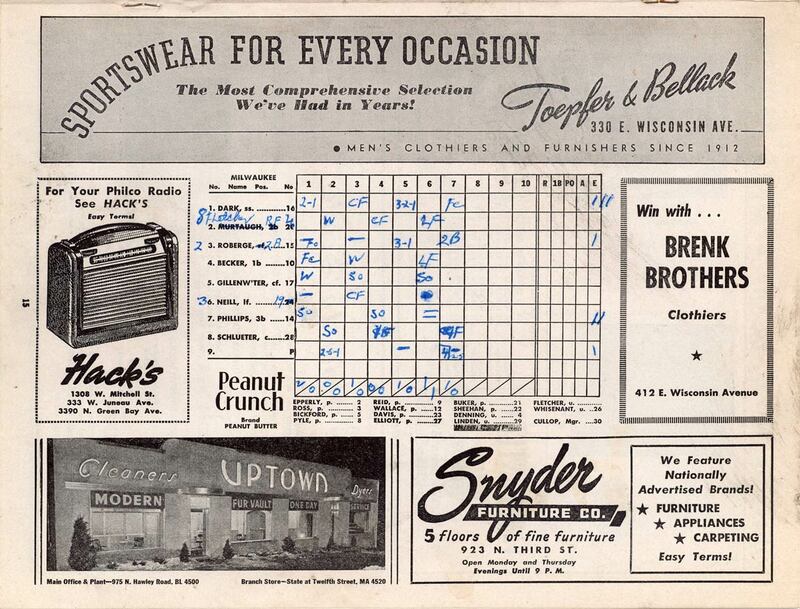 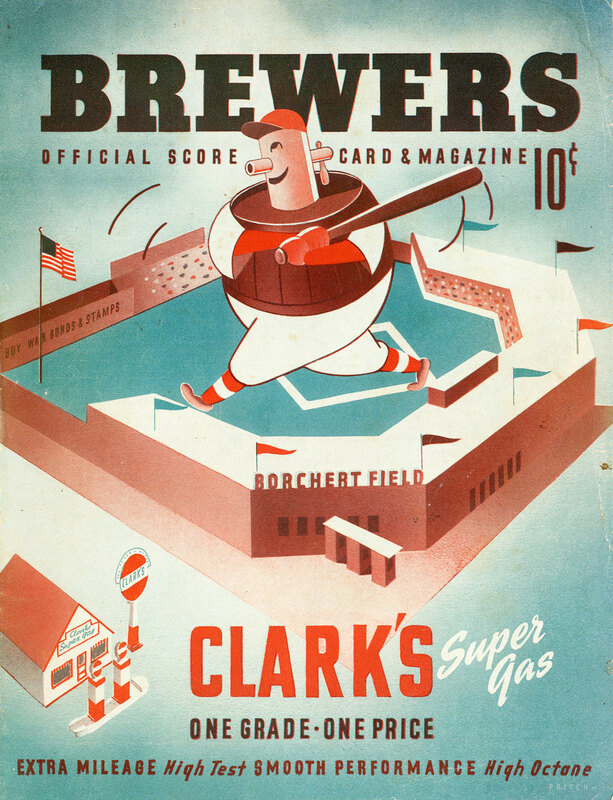 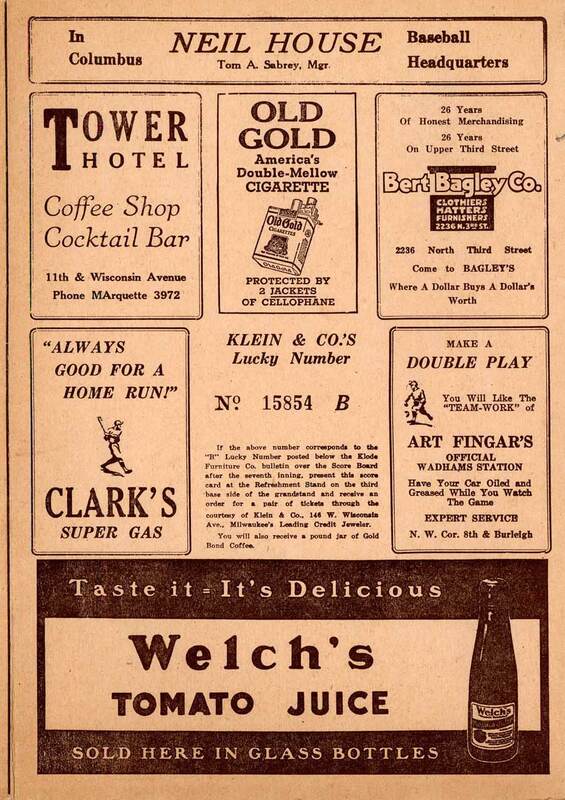 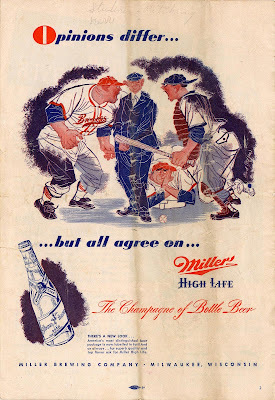 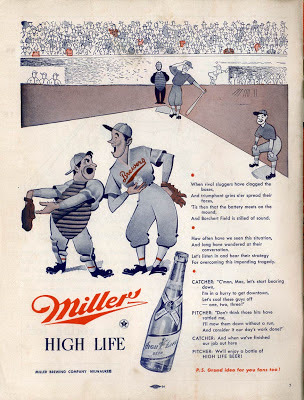 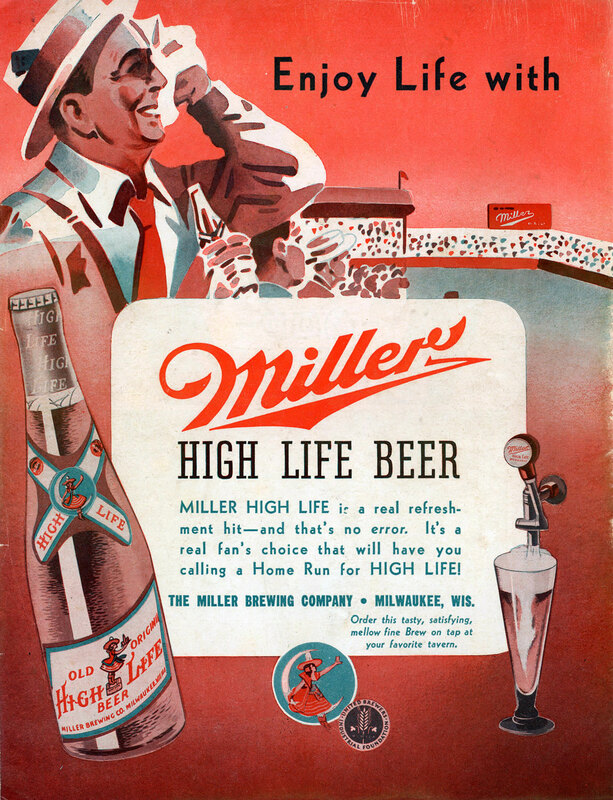 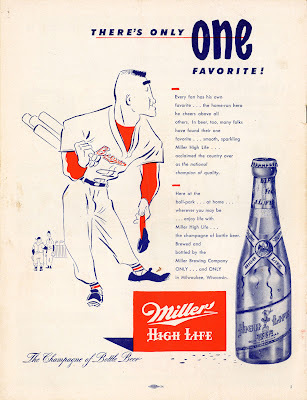 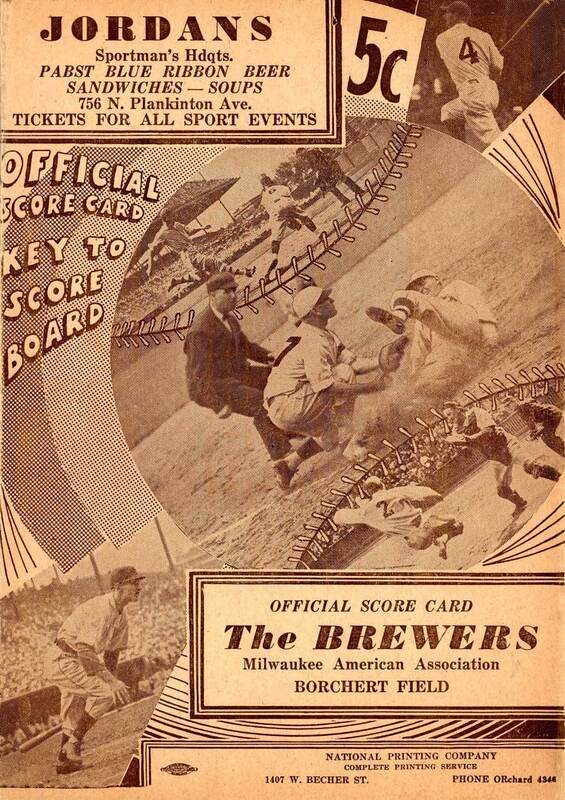 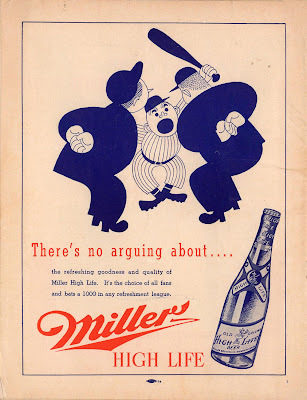 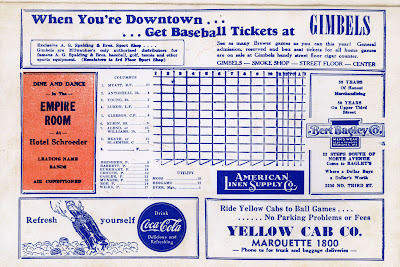 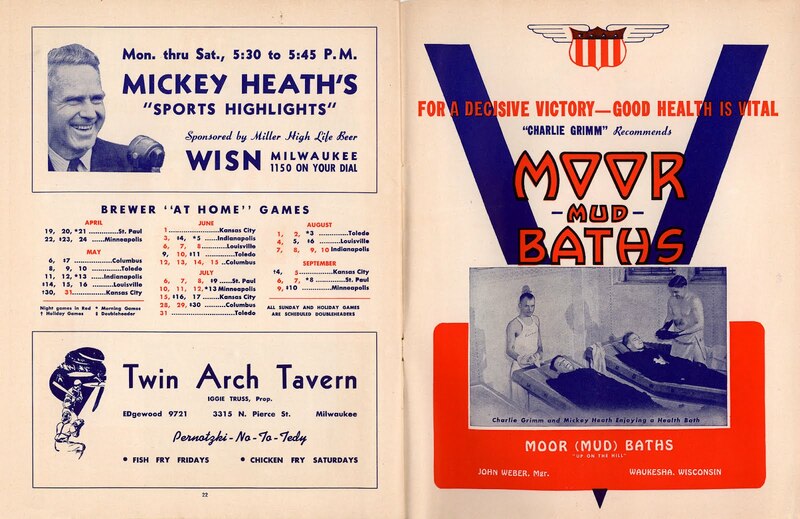 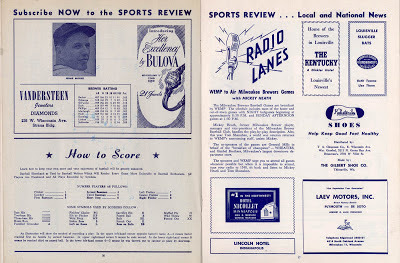 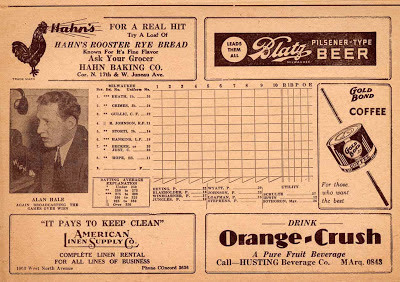 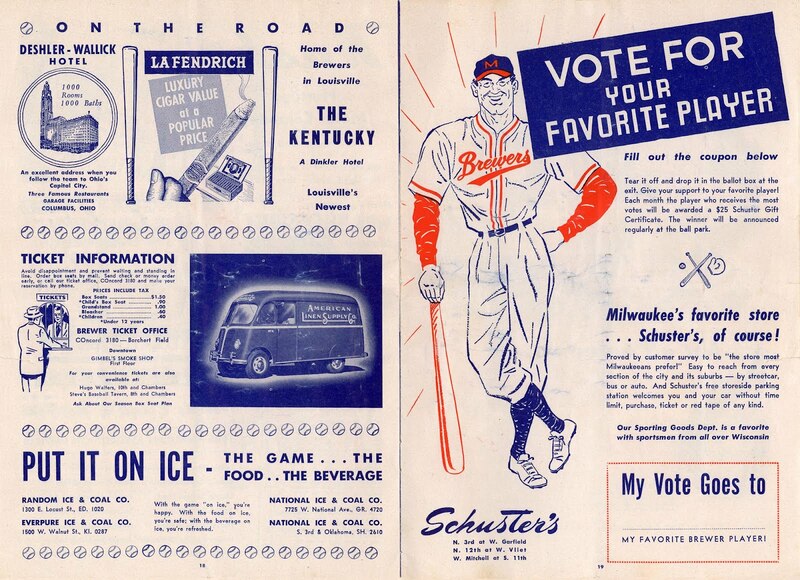 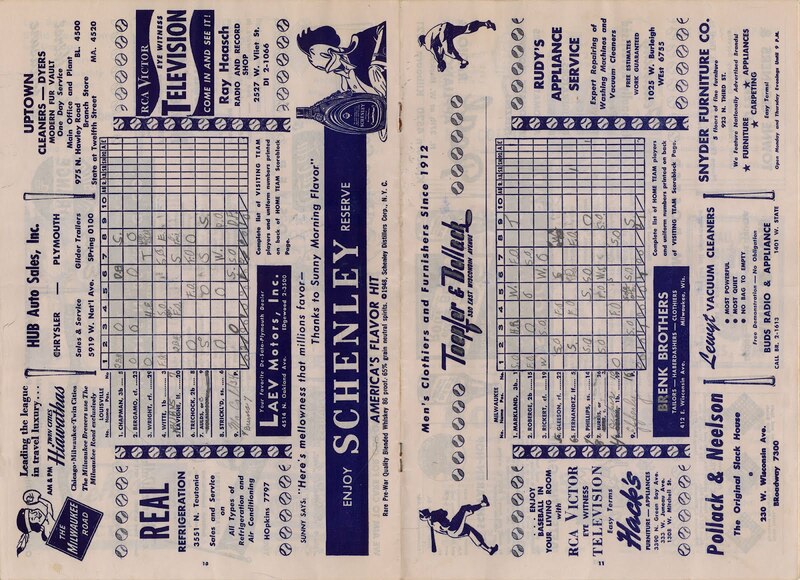 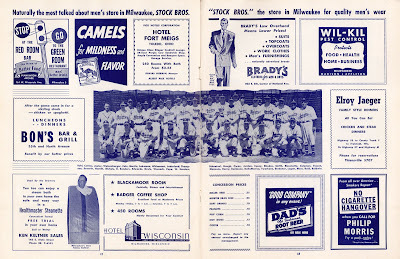 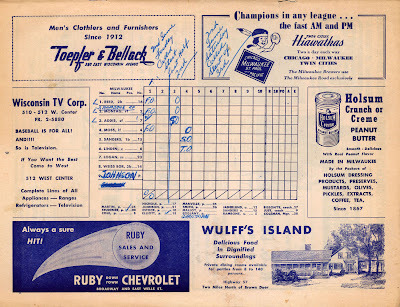 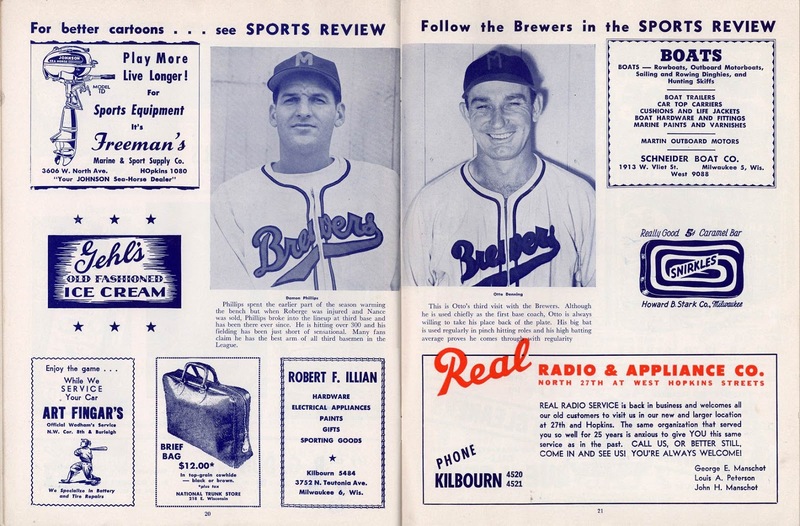 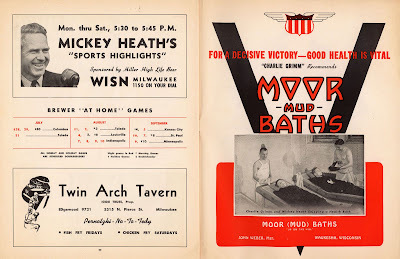 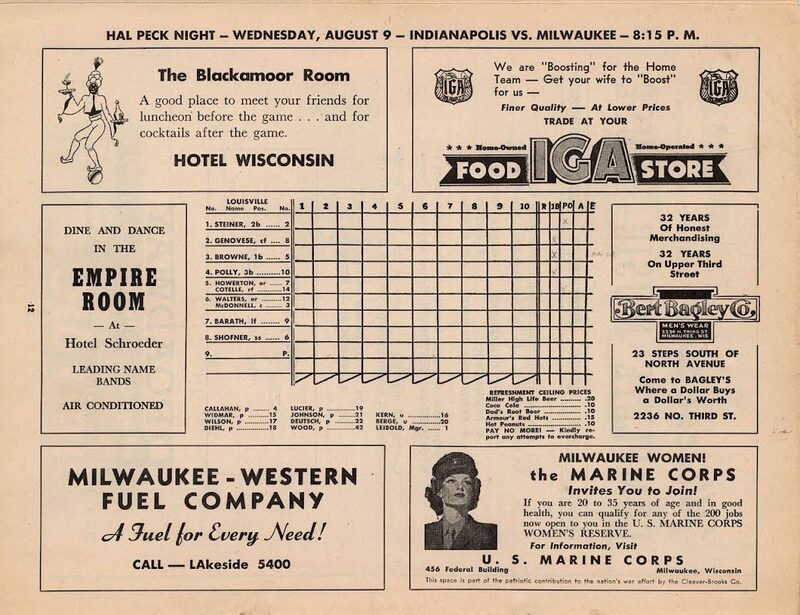 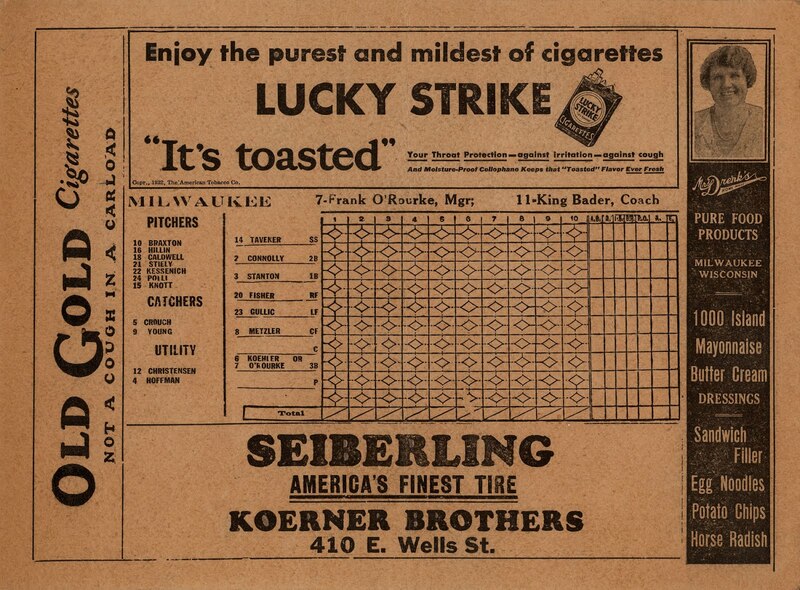 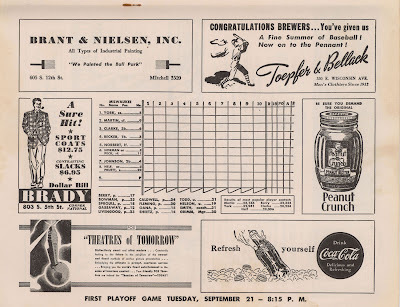 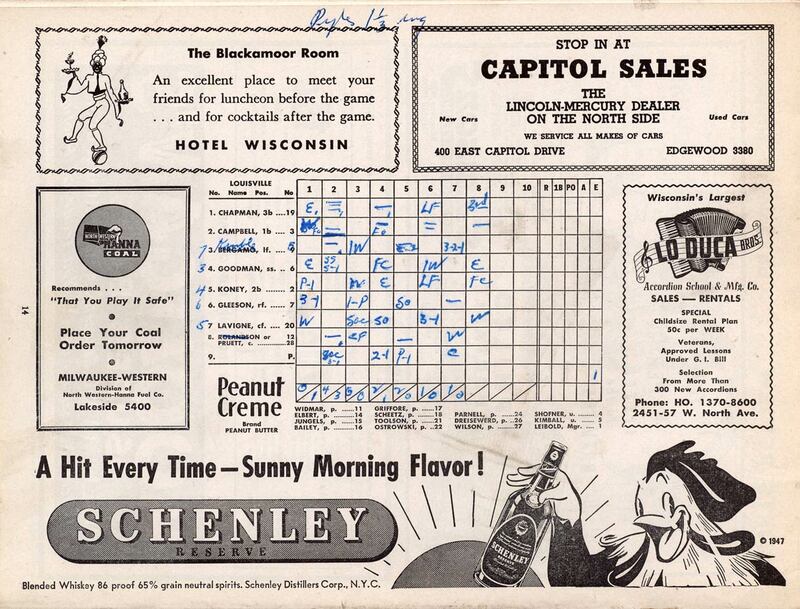 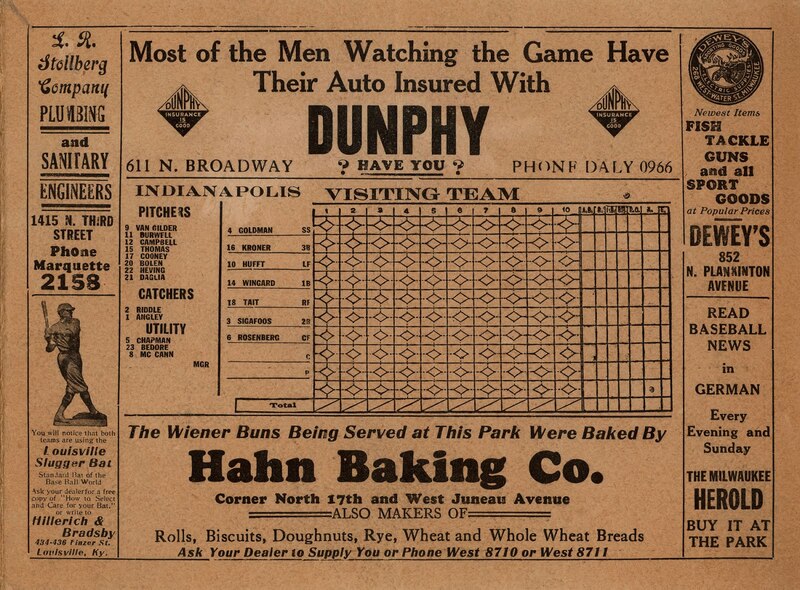 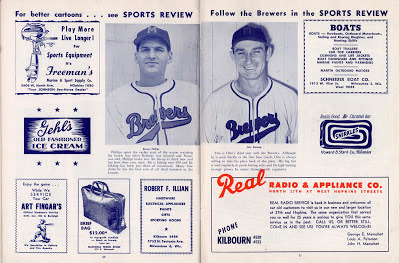 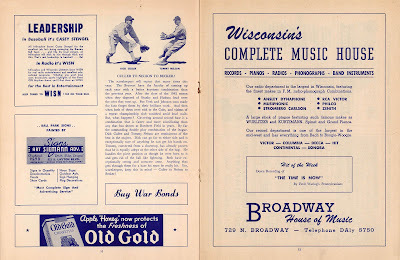 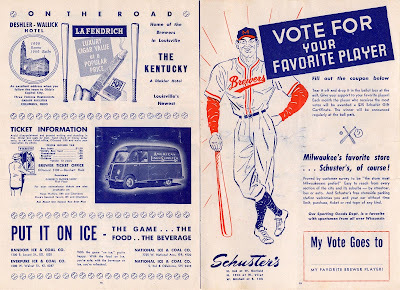 This is a chronological presentation of all the Milwaukee Brewers score cards featured on the blog. 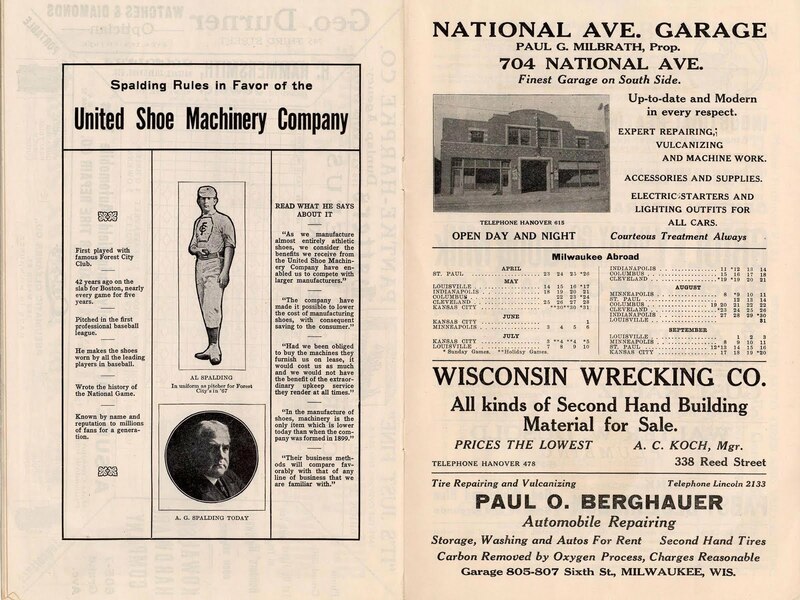 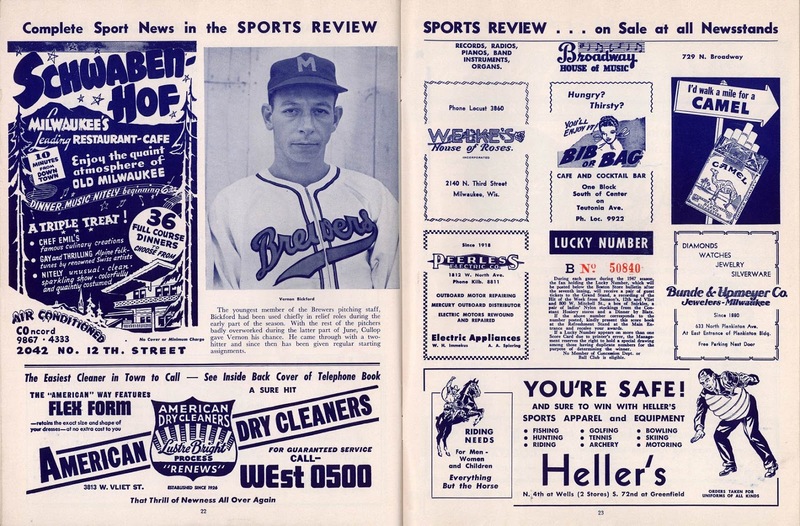 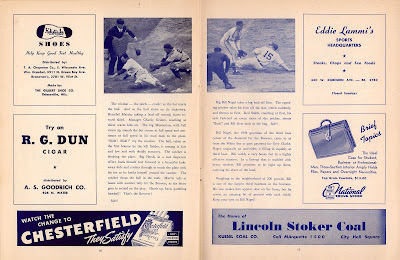 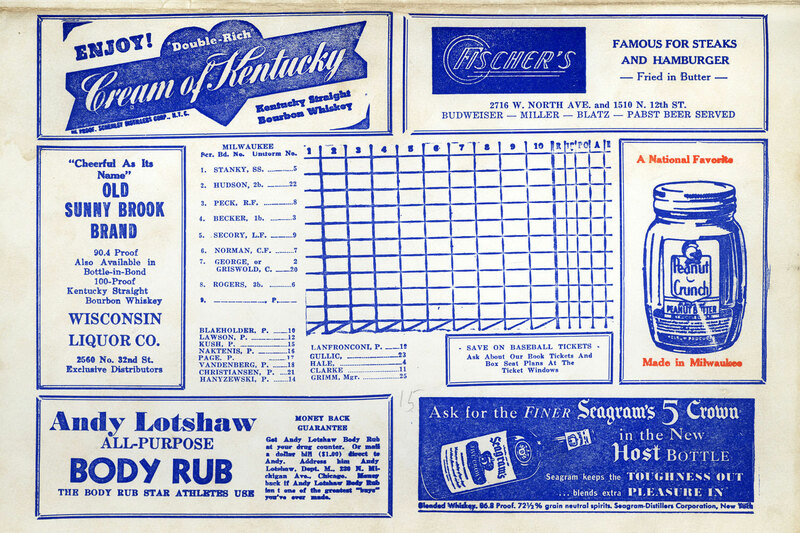 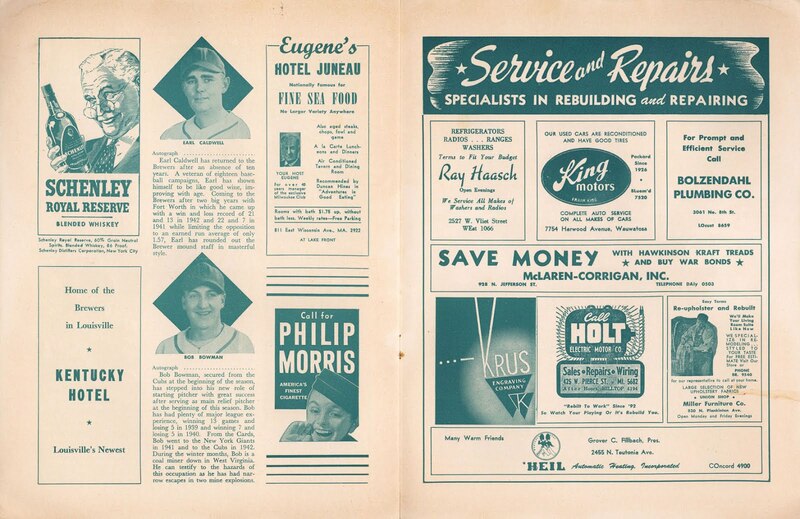 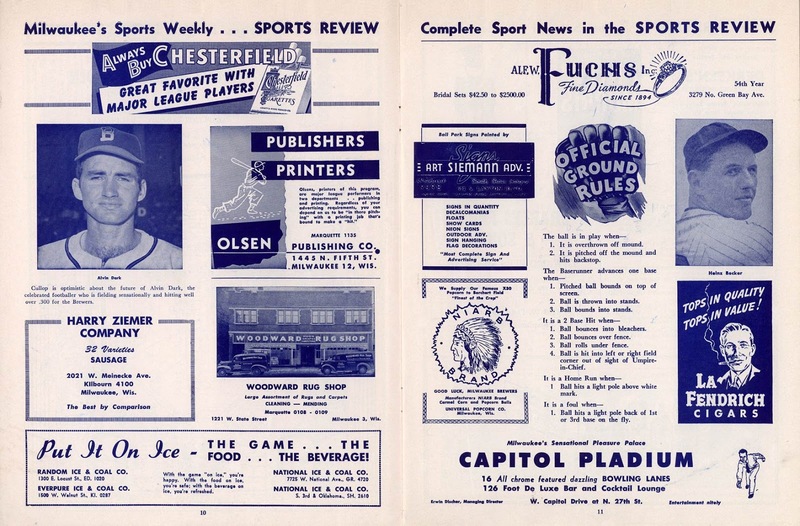 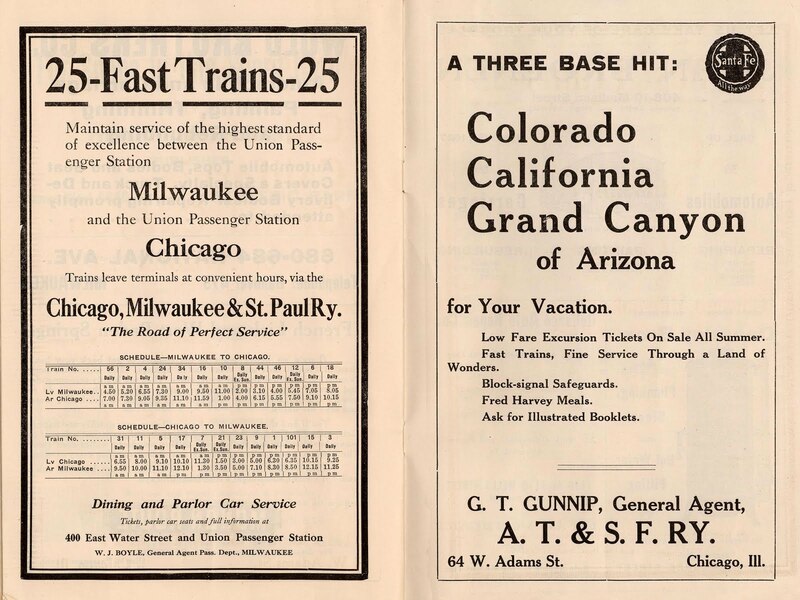 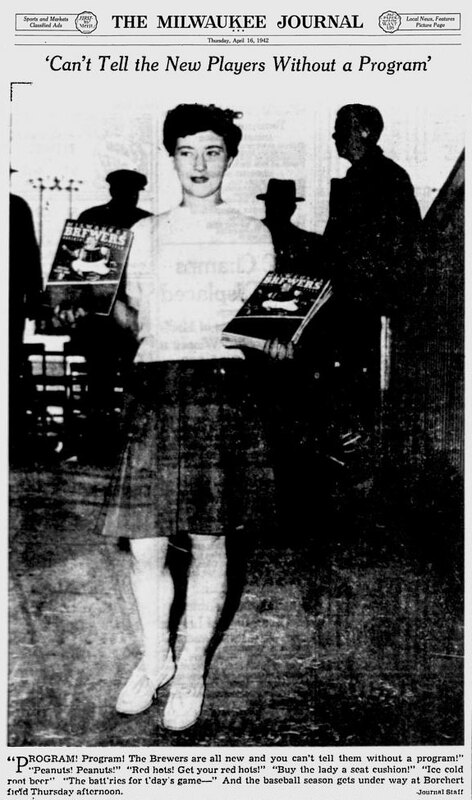 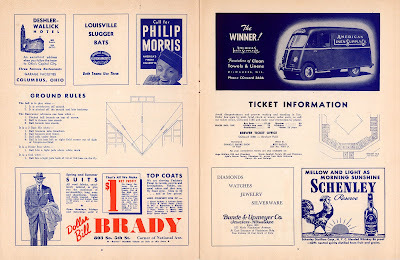 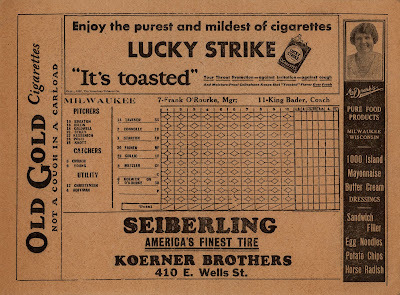 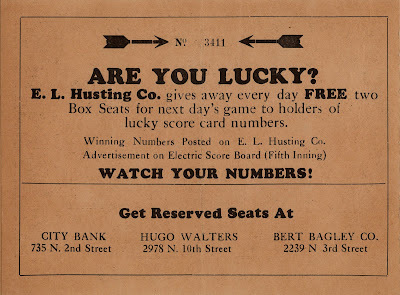 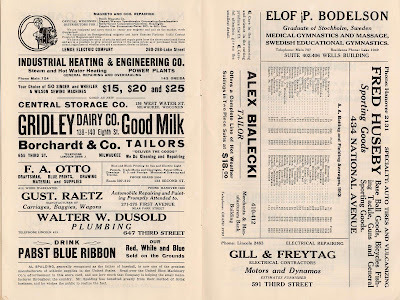 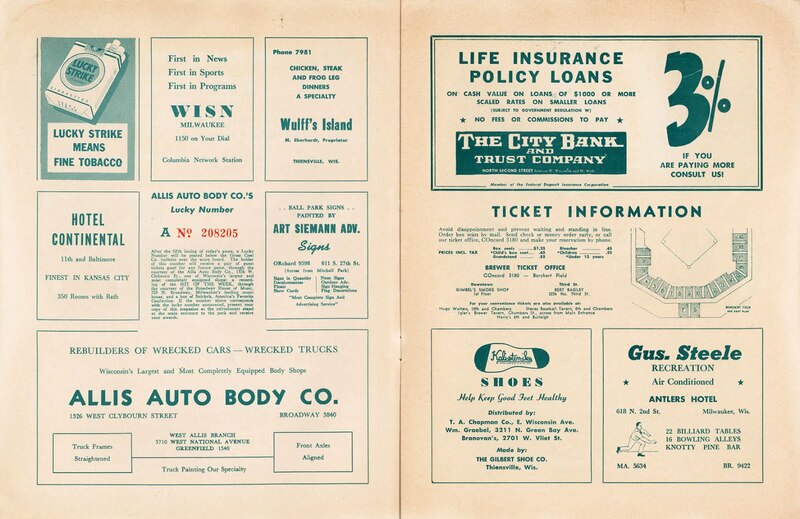 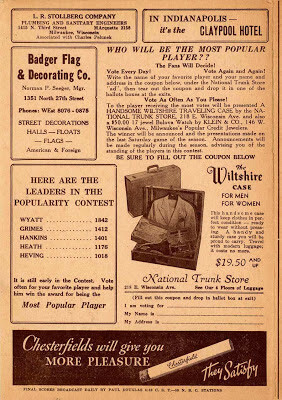 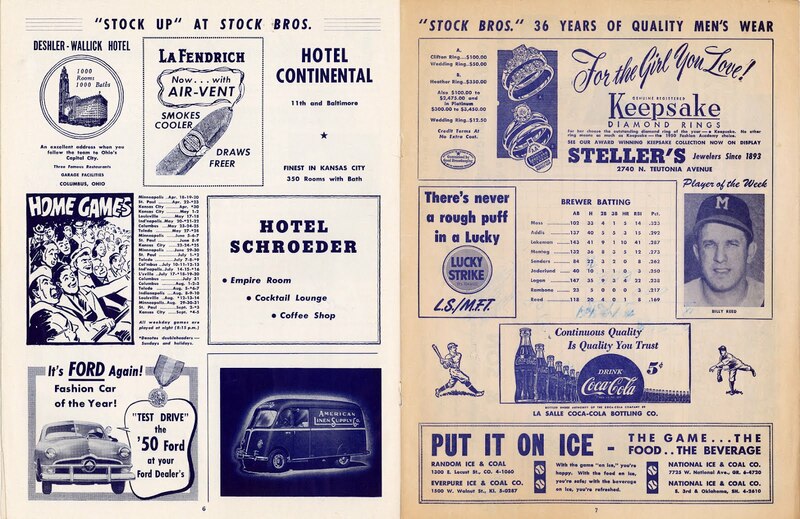 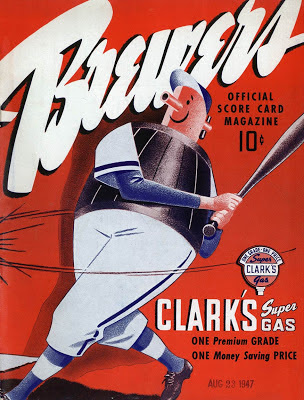 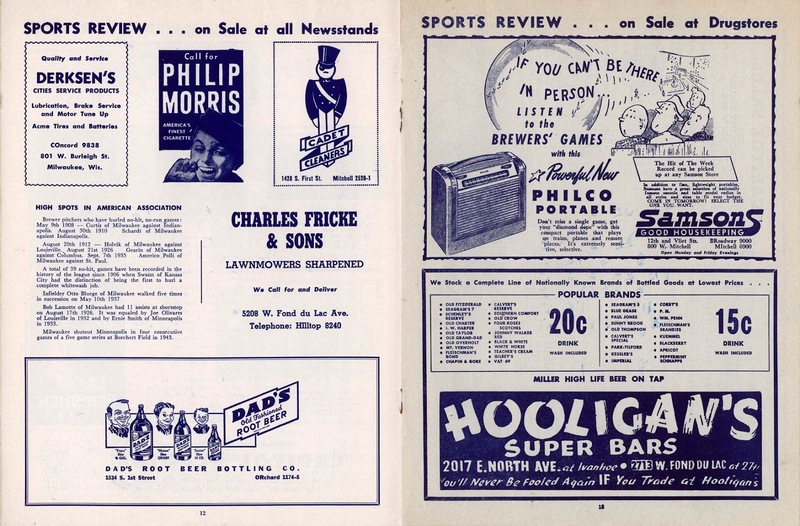 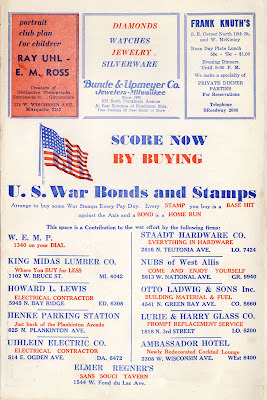 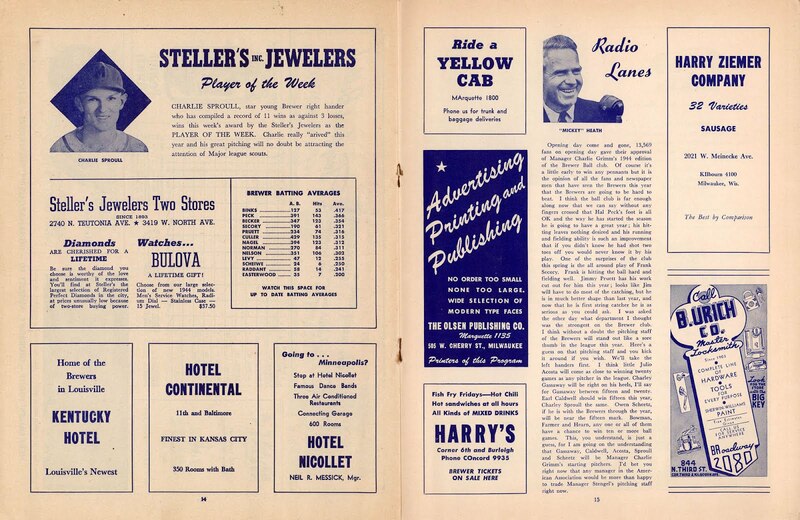 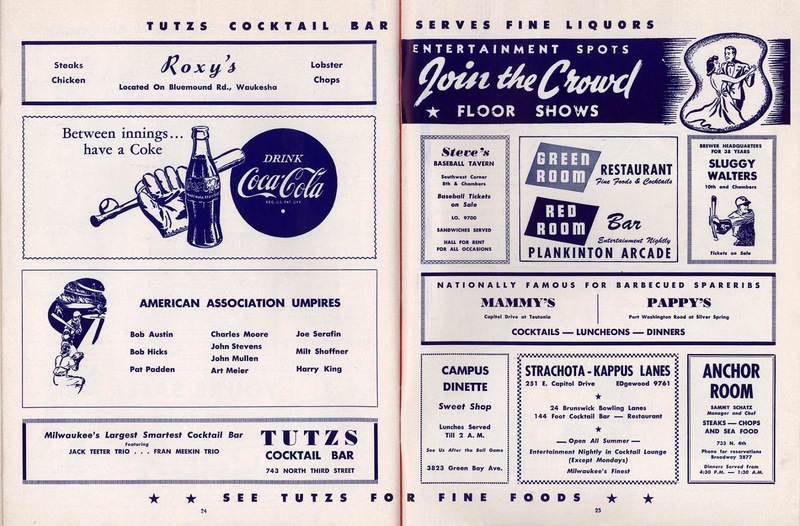 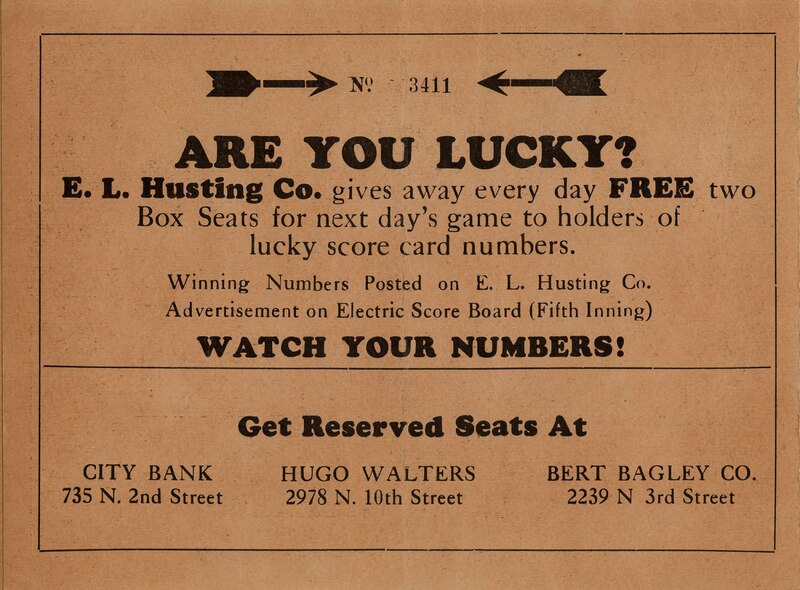 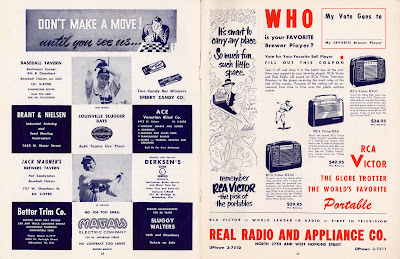 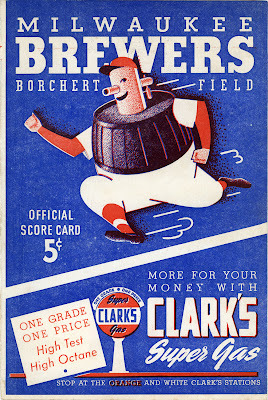 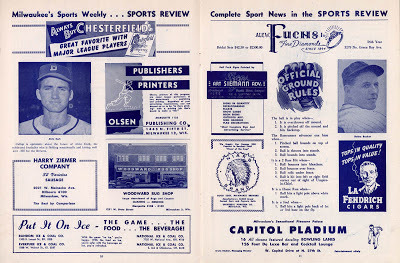 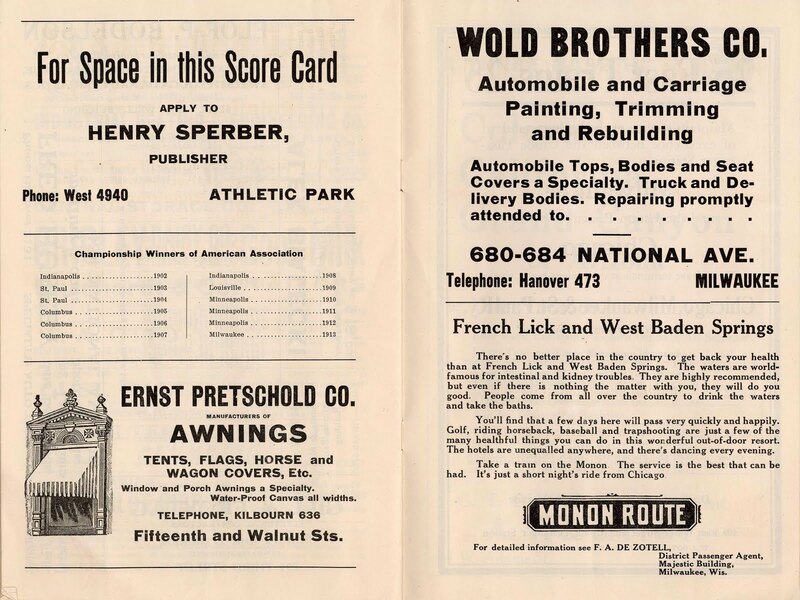 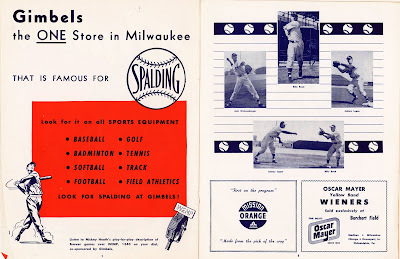 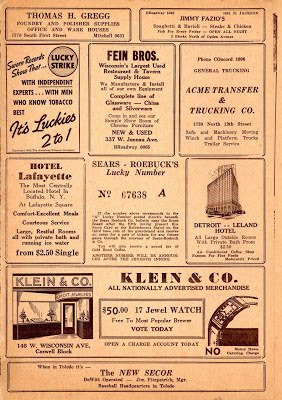 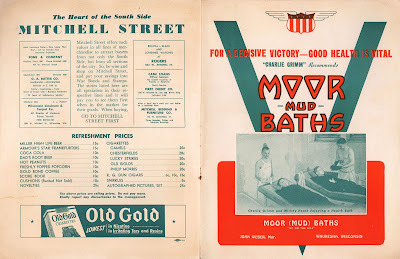 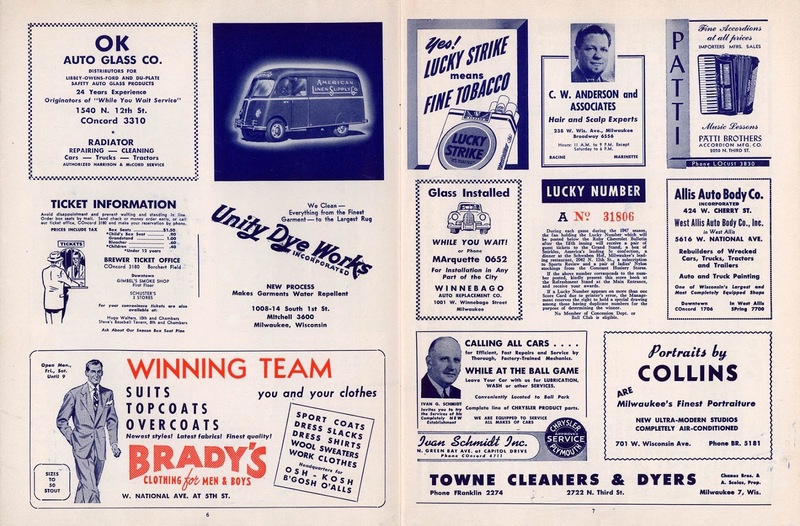 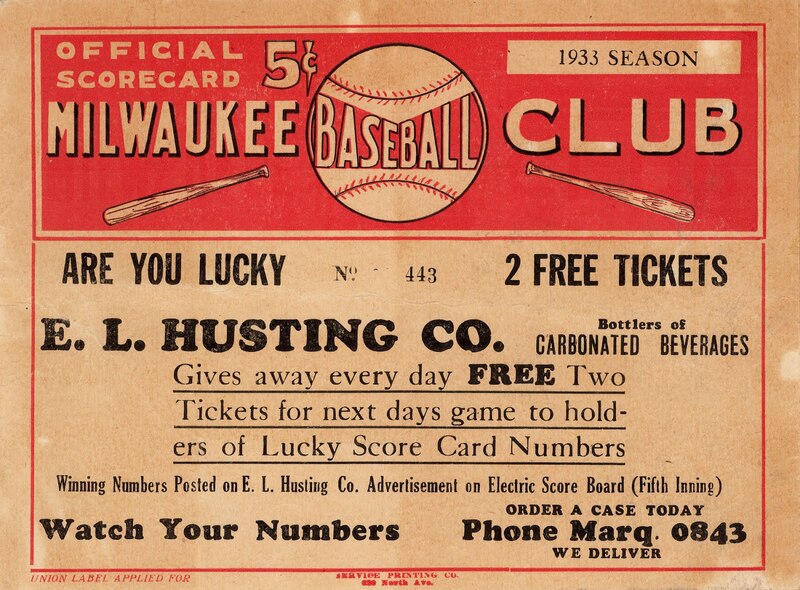 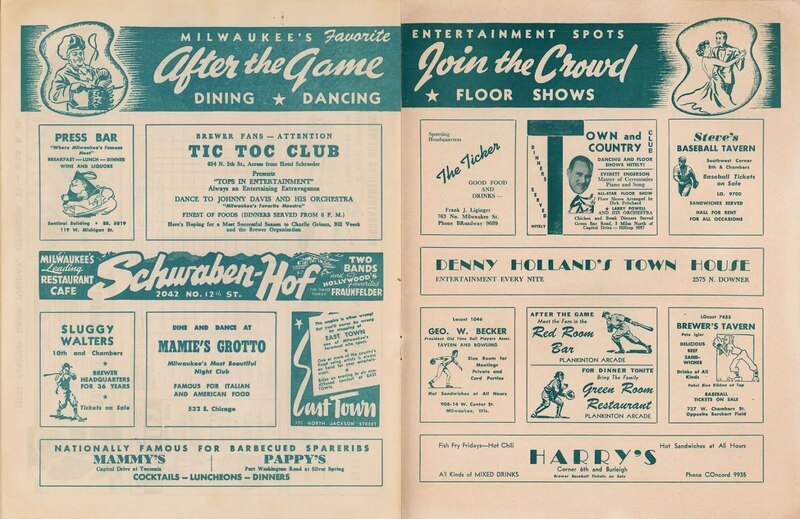 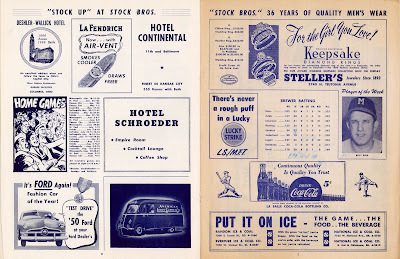 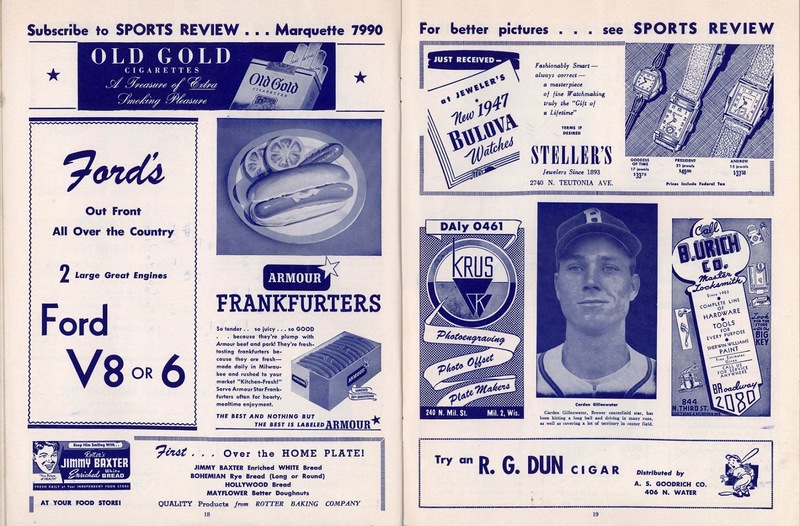 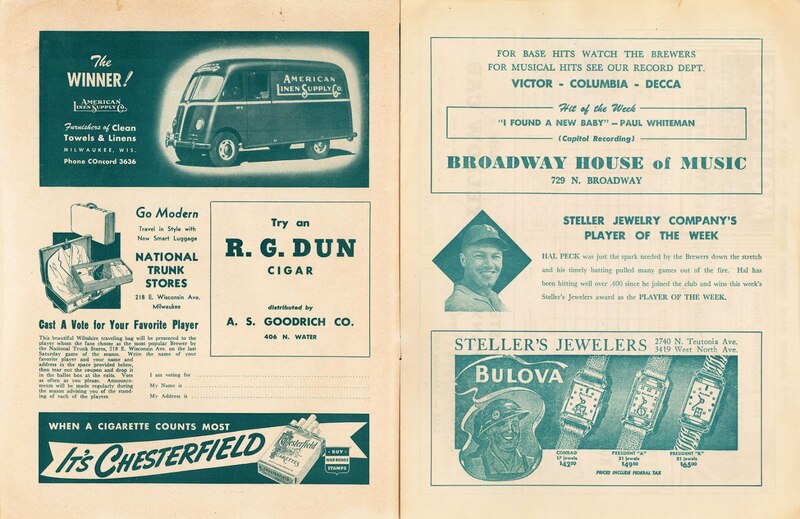 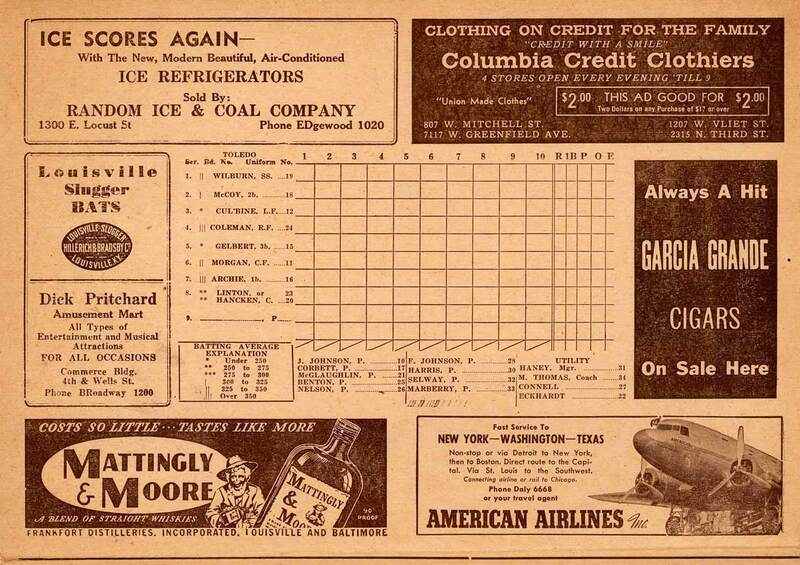 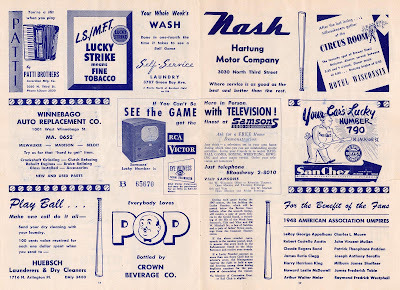 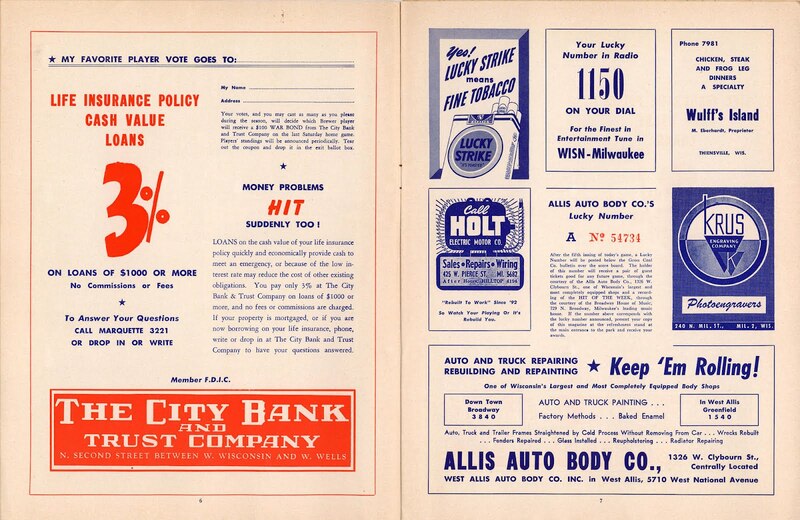 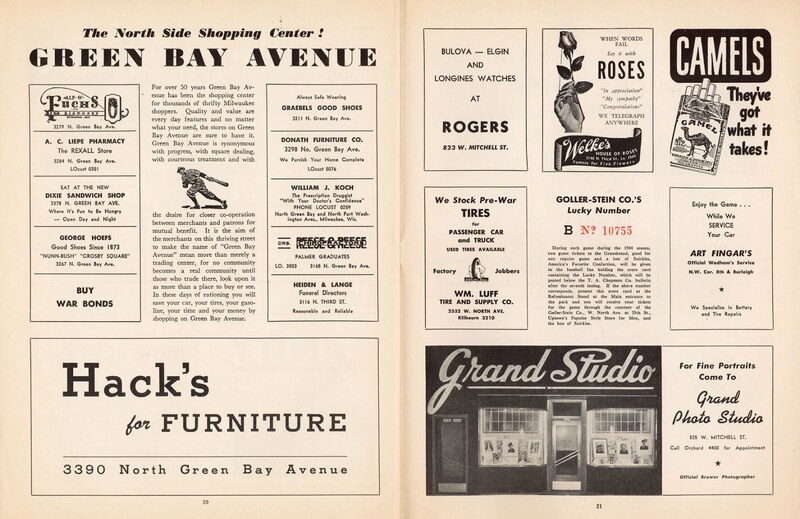 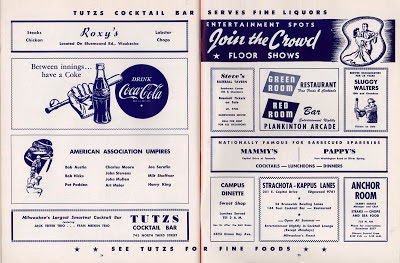 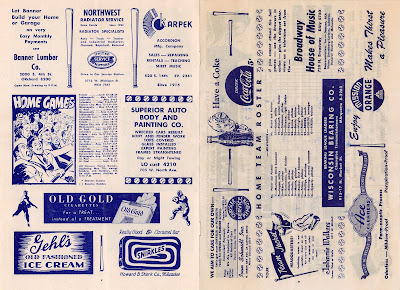 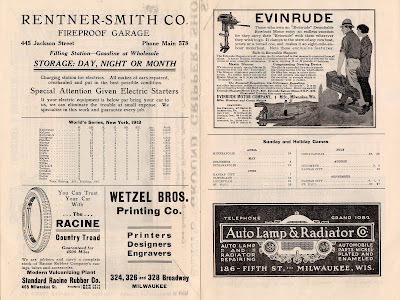 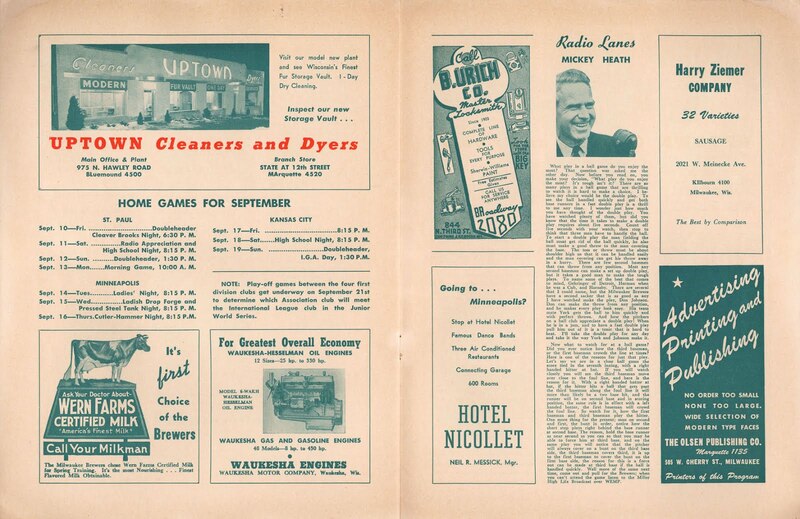 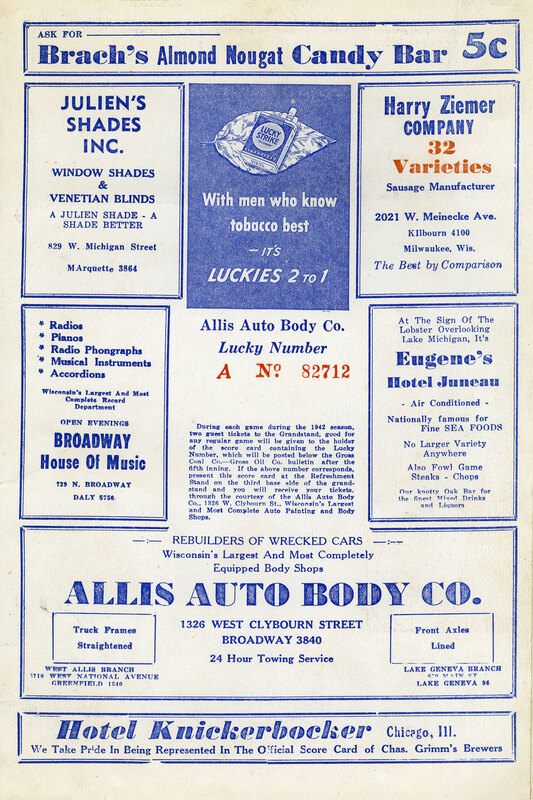 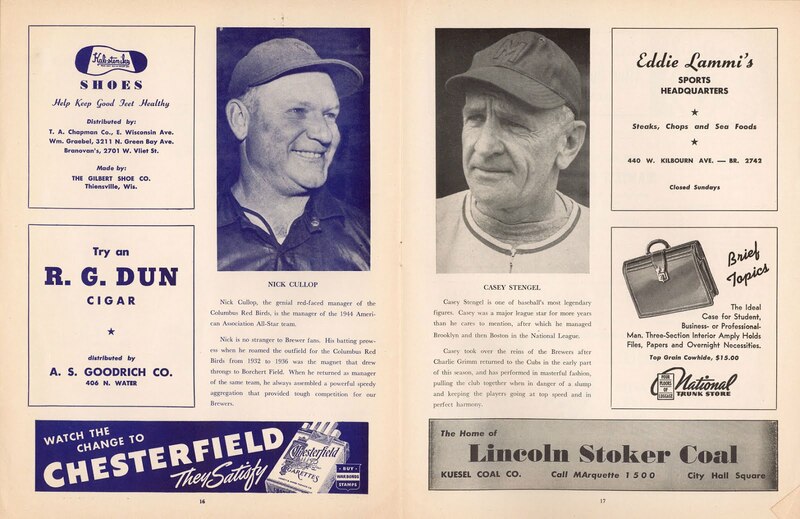 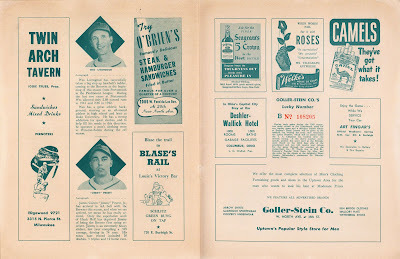 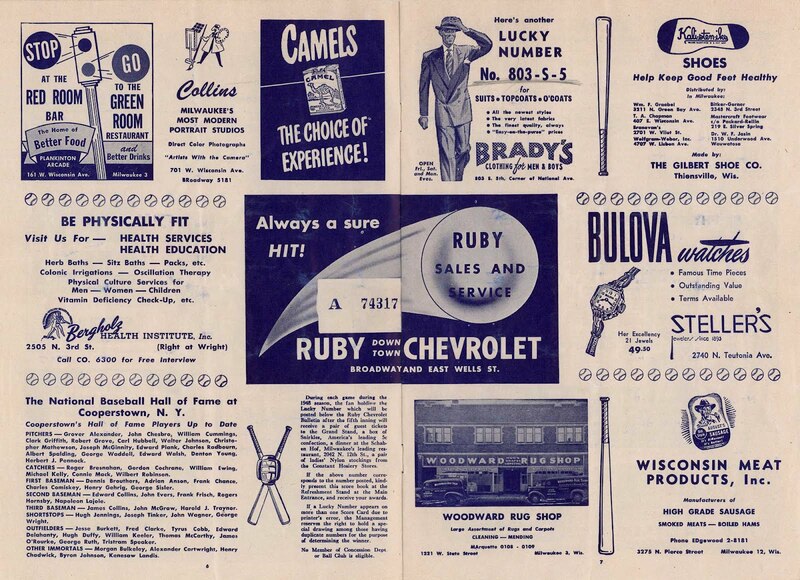 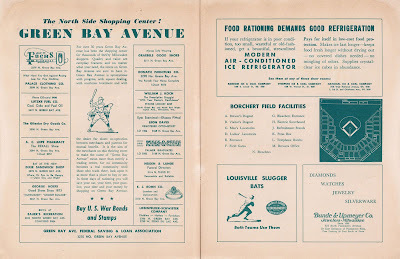 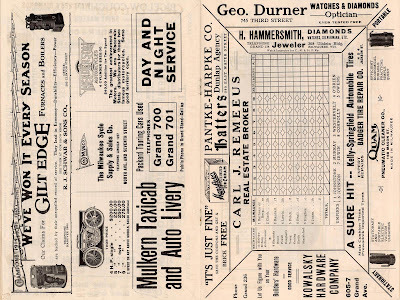 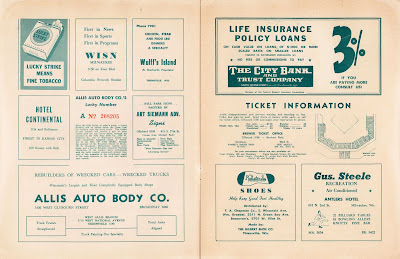 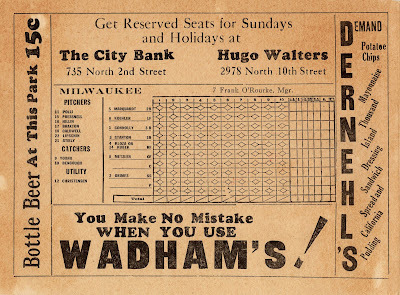 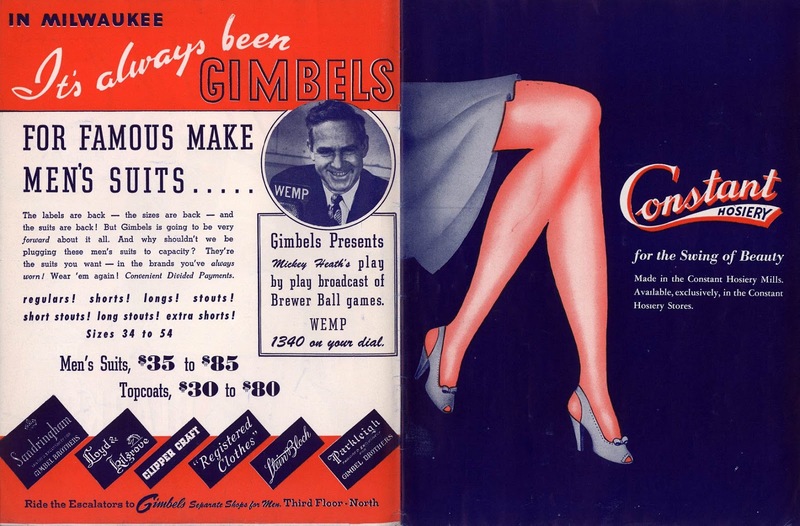 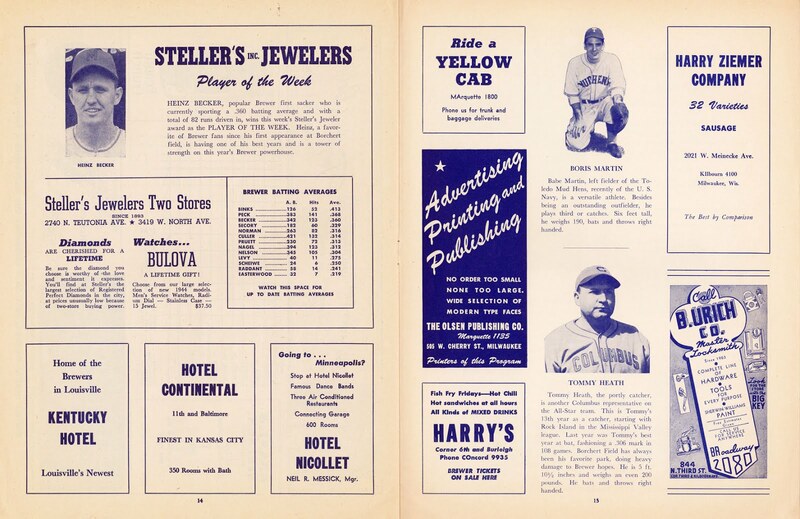 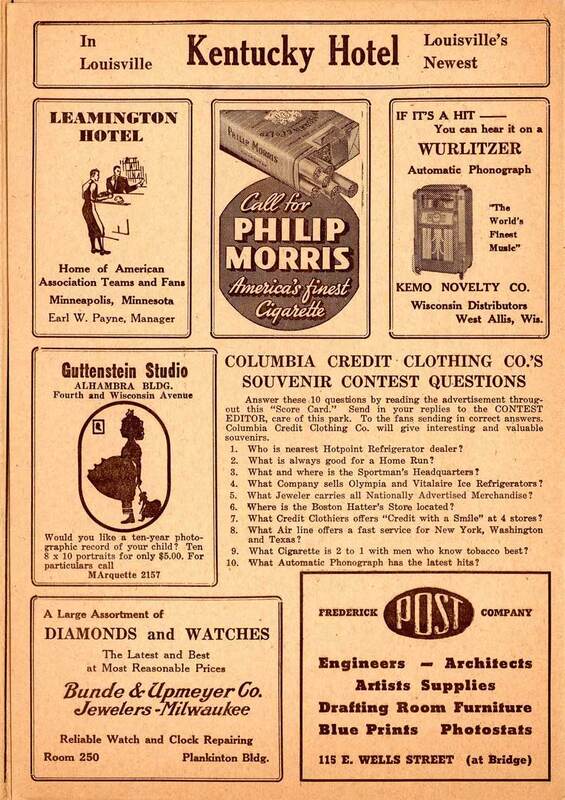 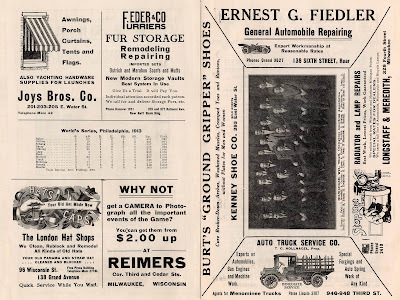 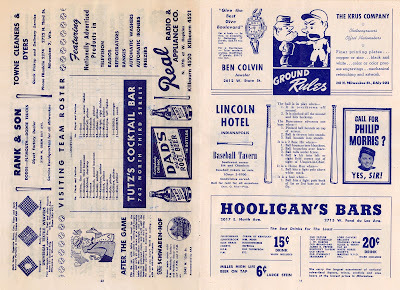 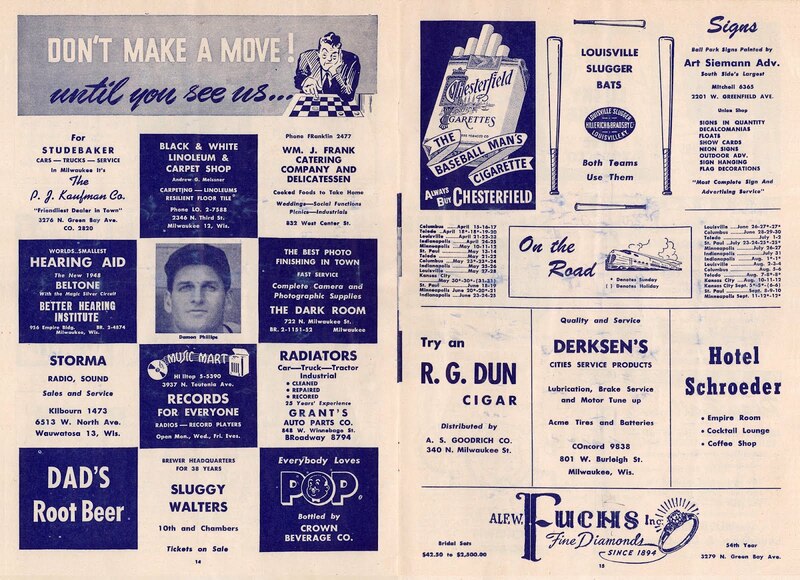 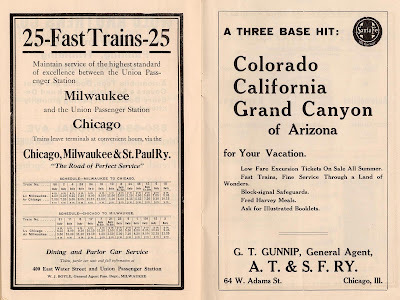 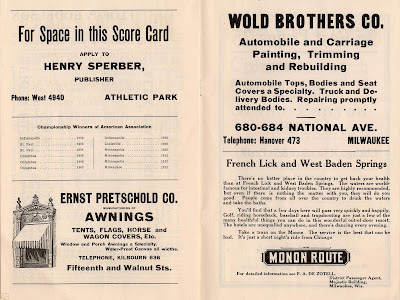 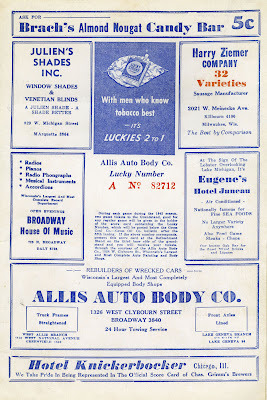 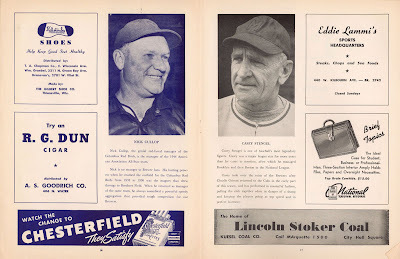 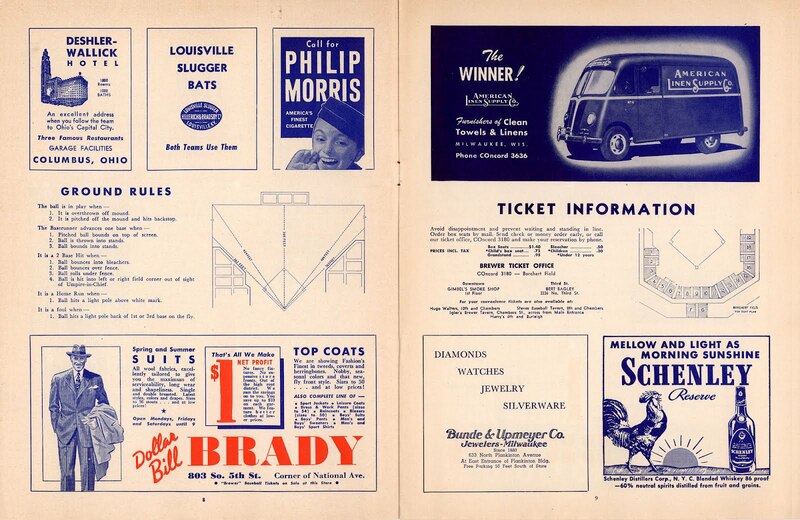 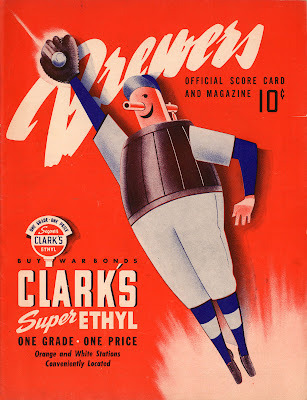 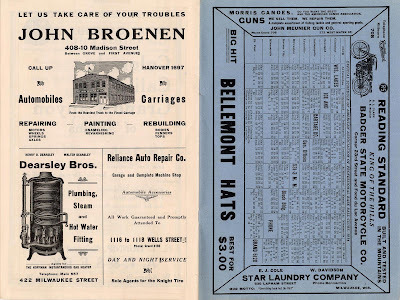 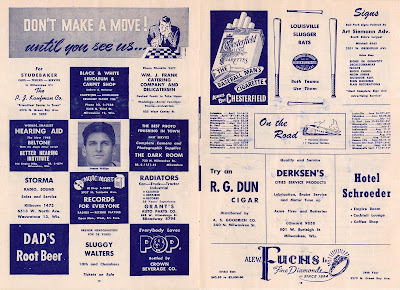 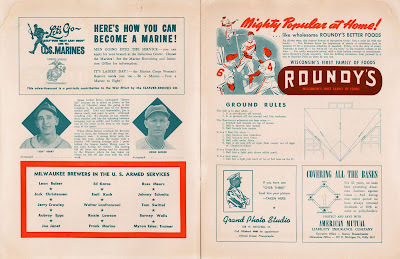 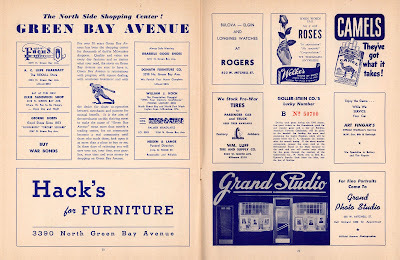 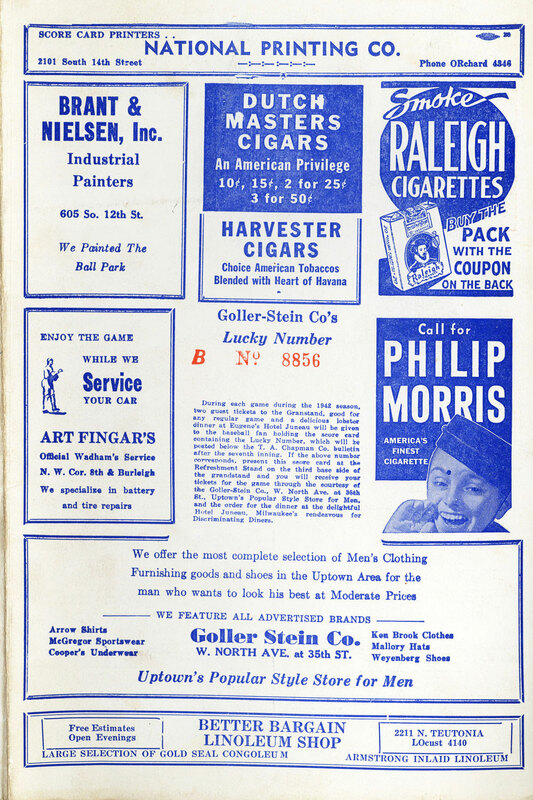 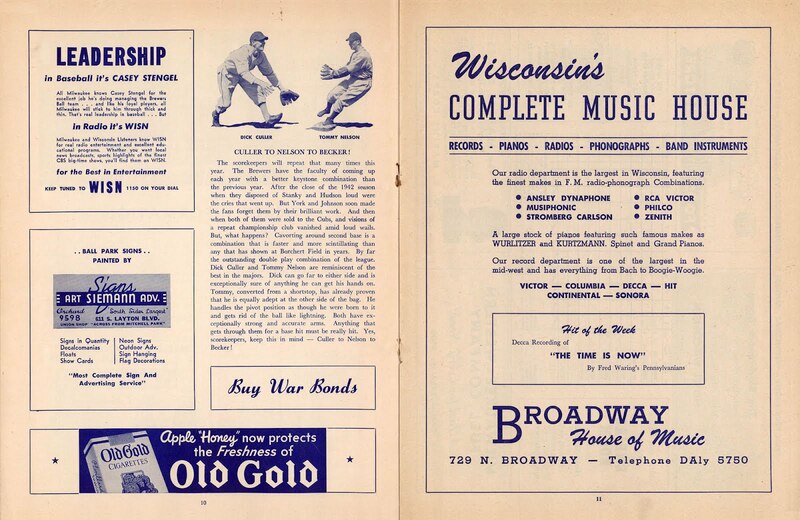 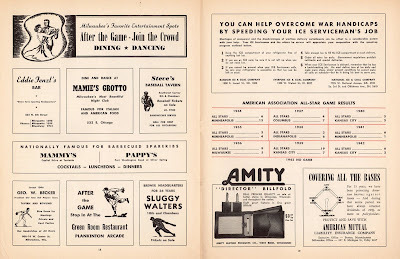 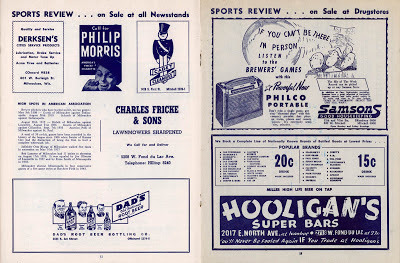 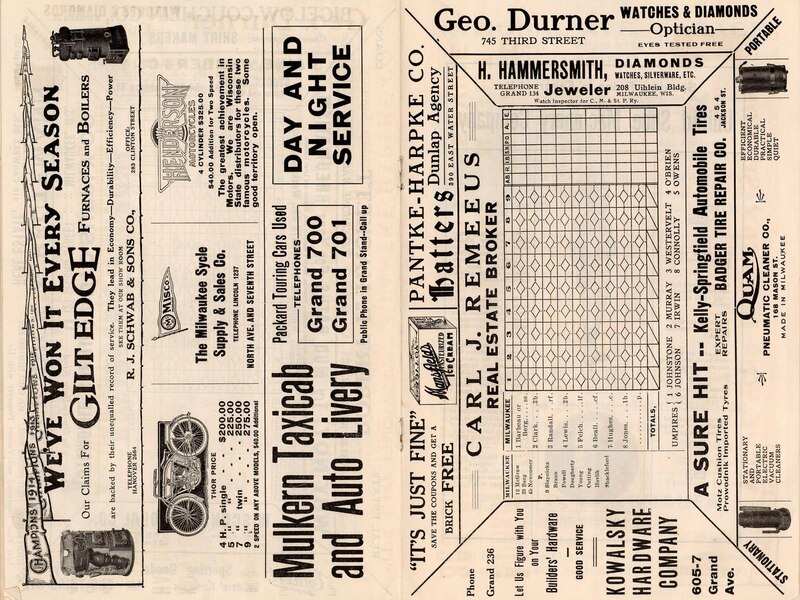 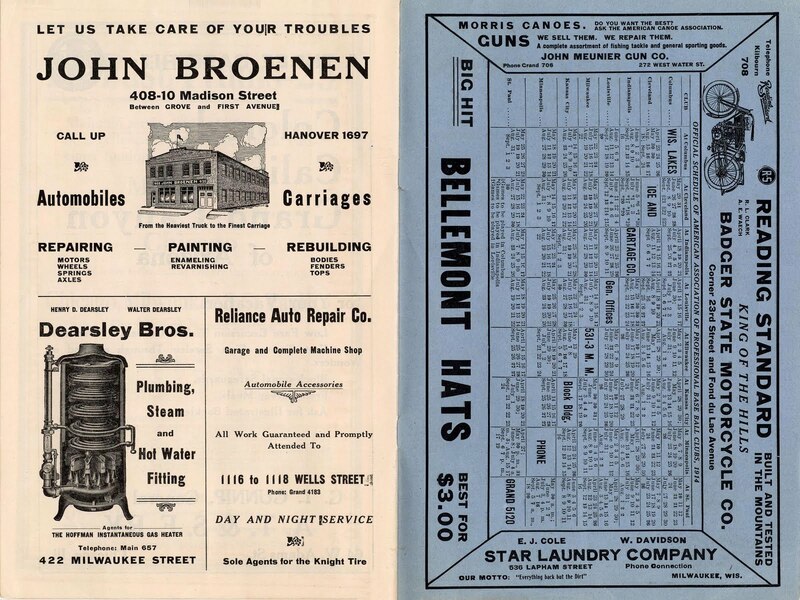 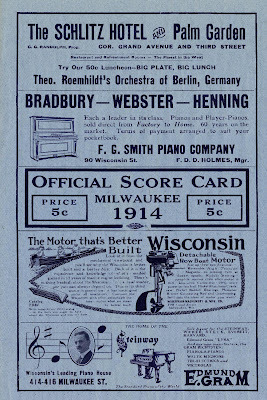 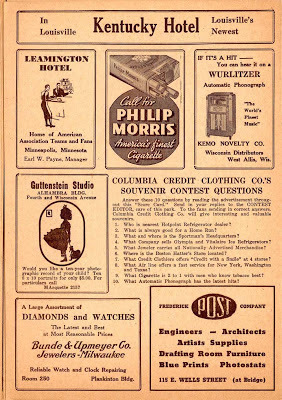 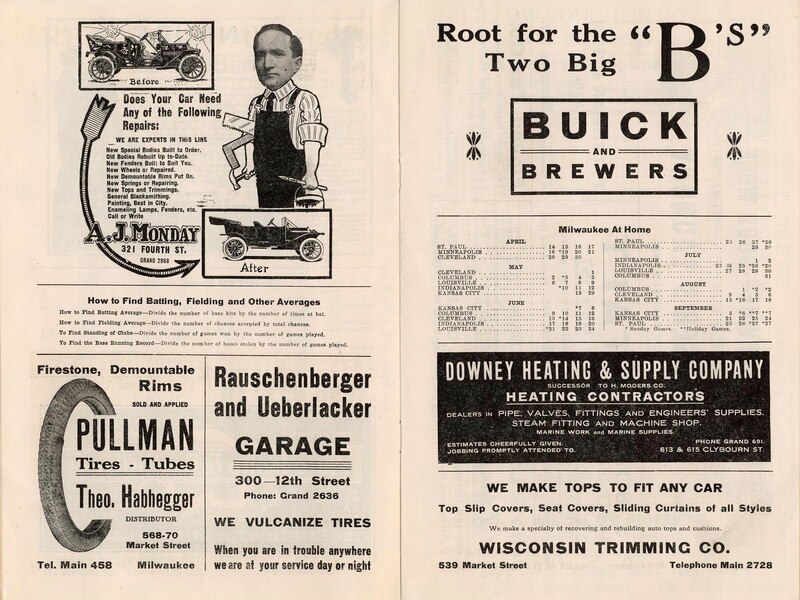 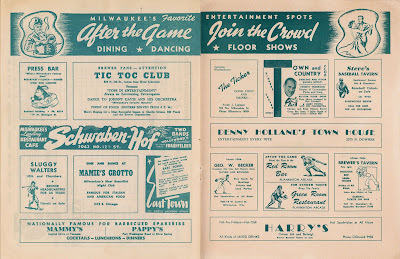 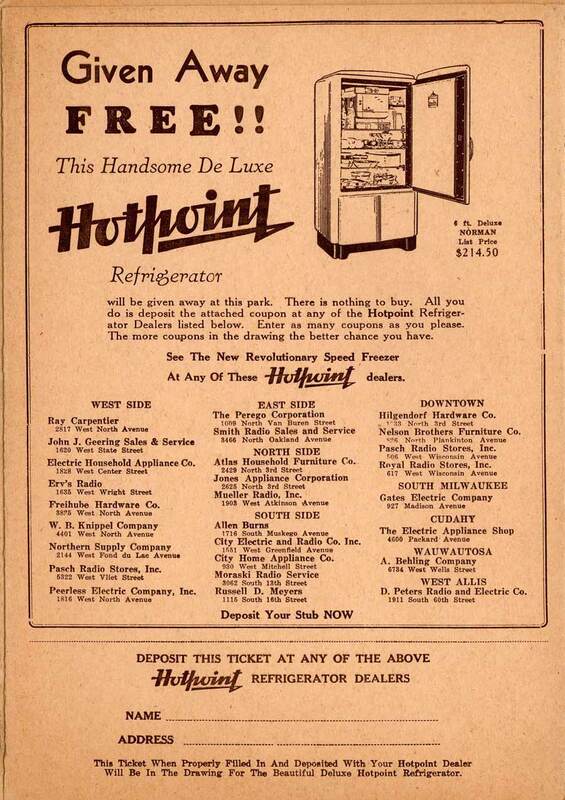 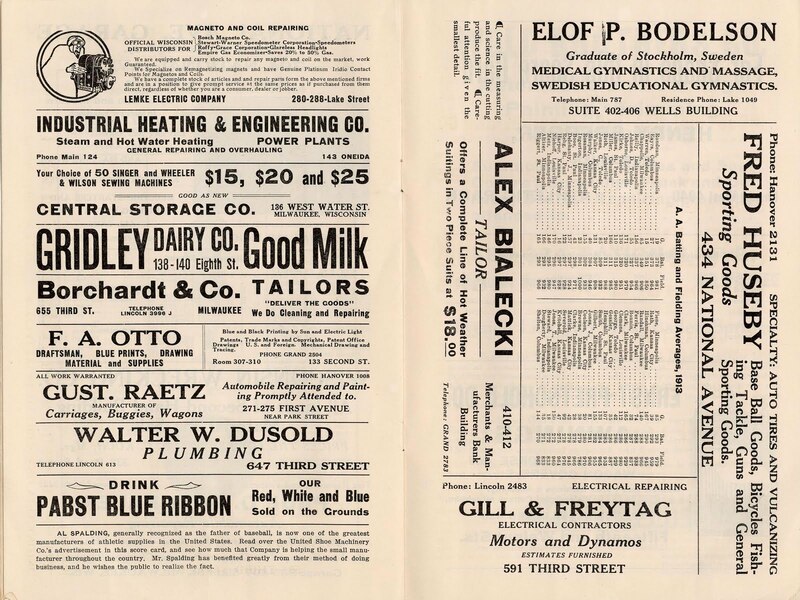 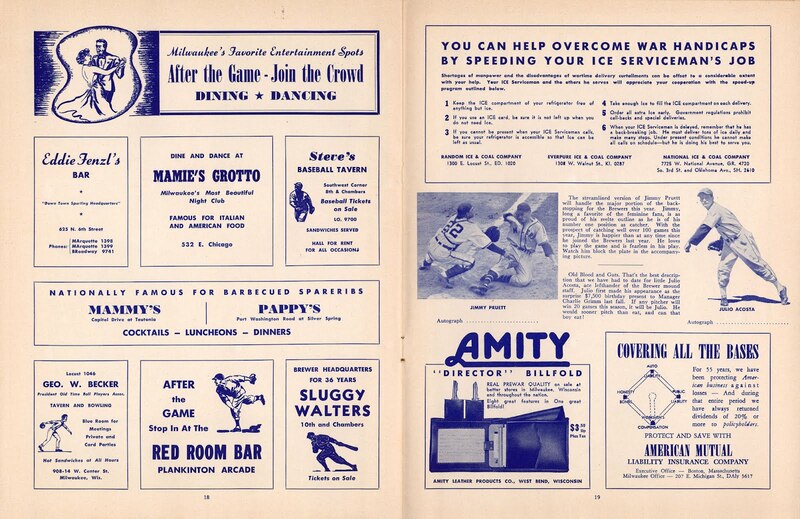 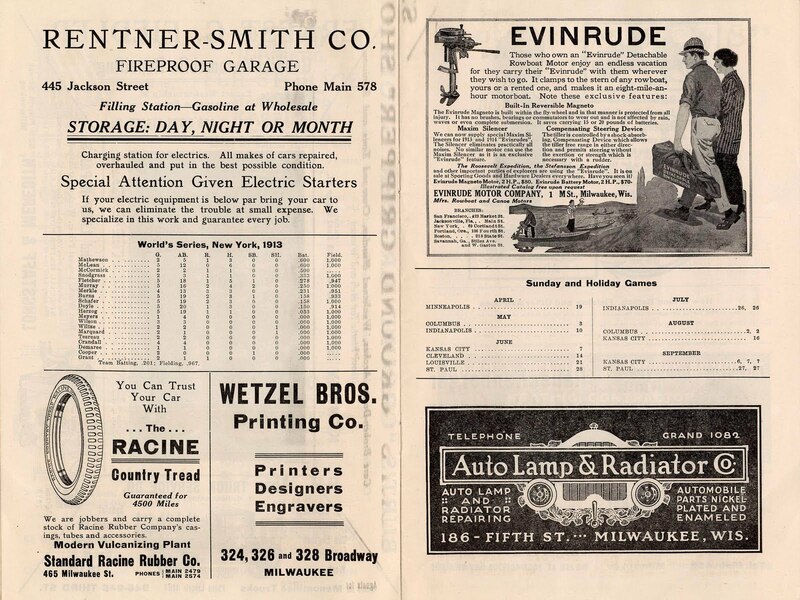 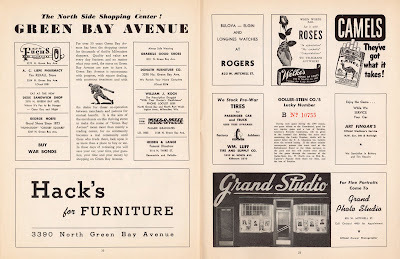 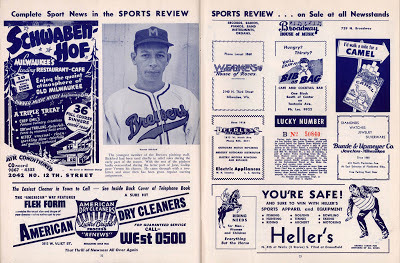 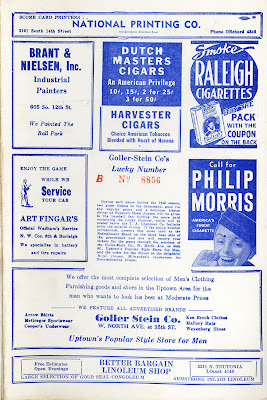 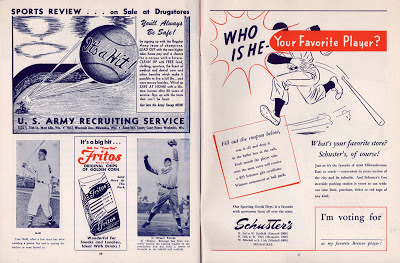 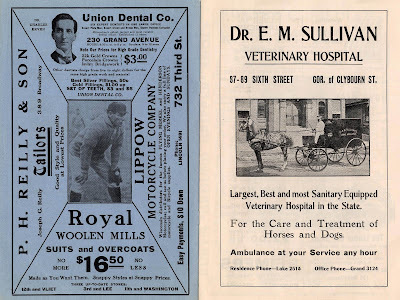 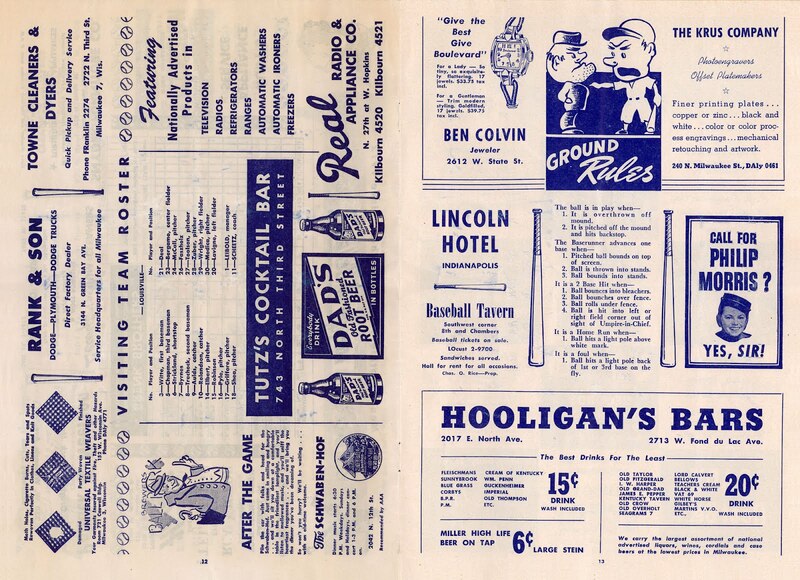 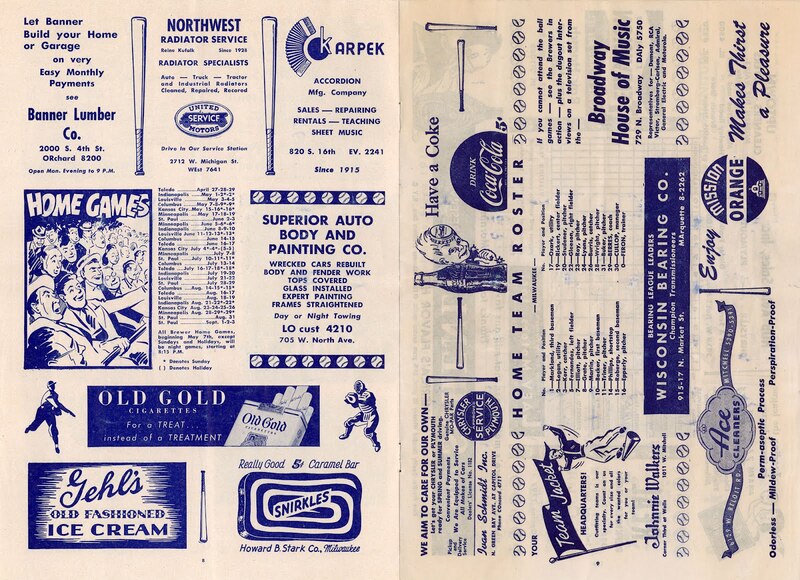 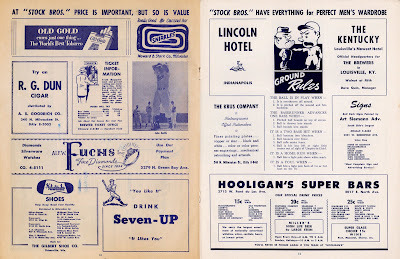 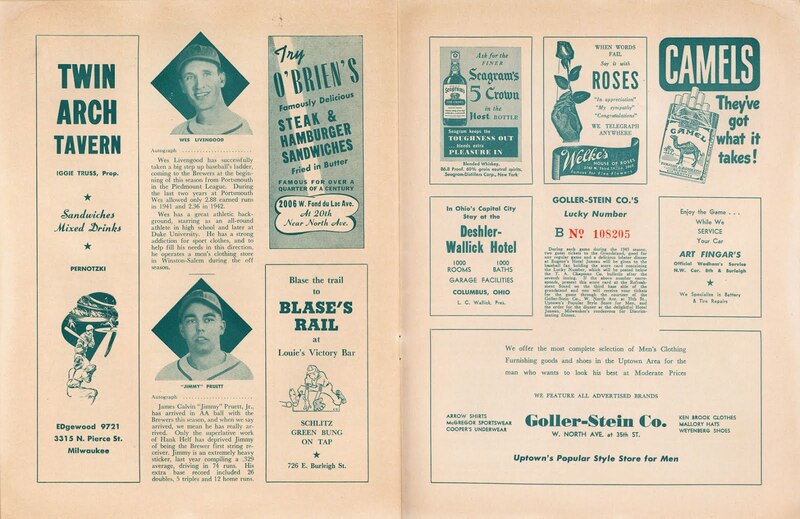 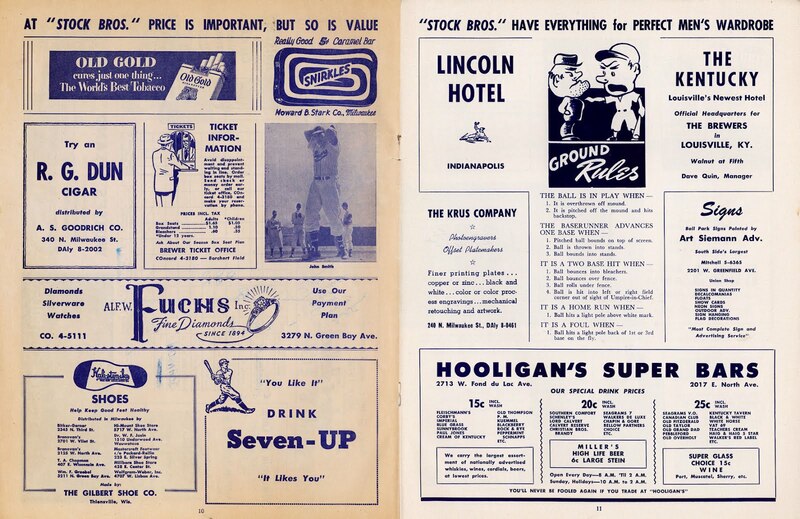 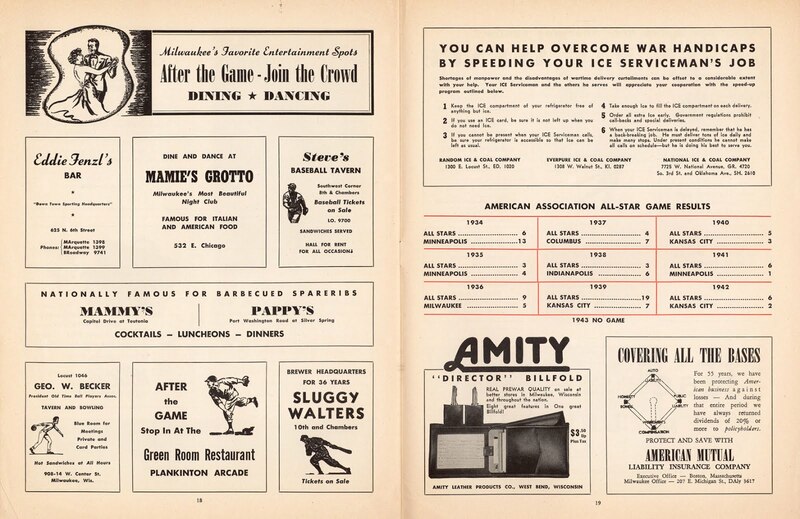 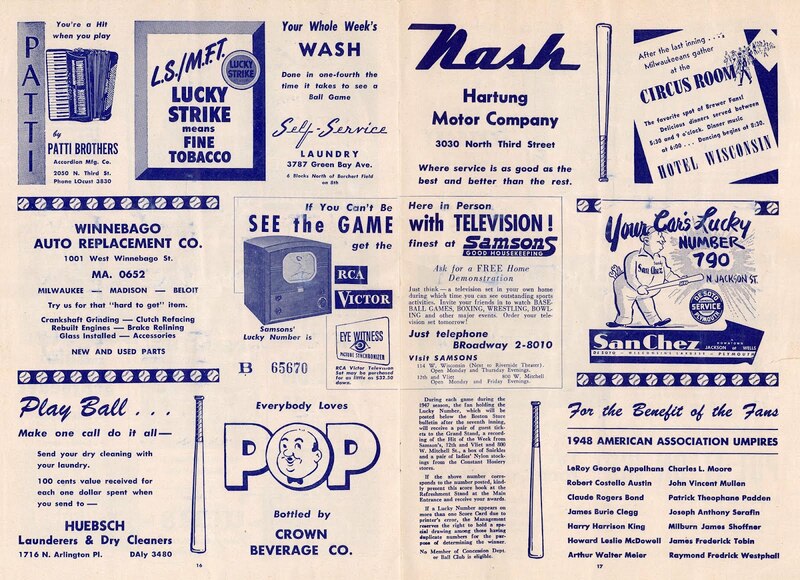 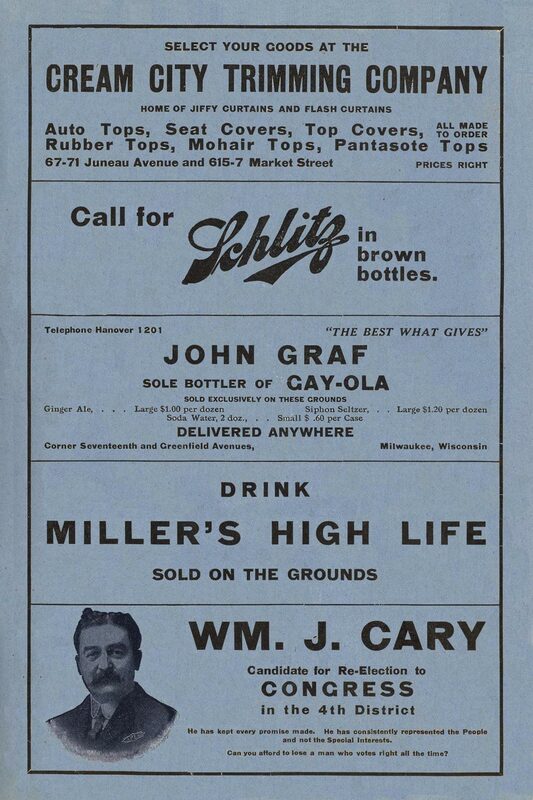 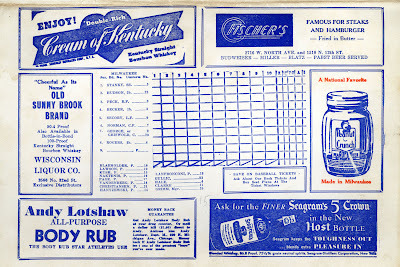 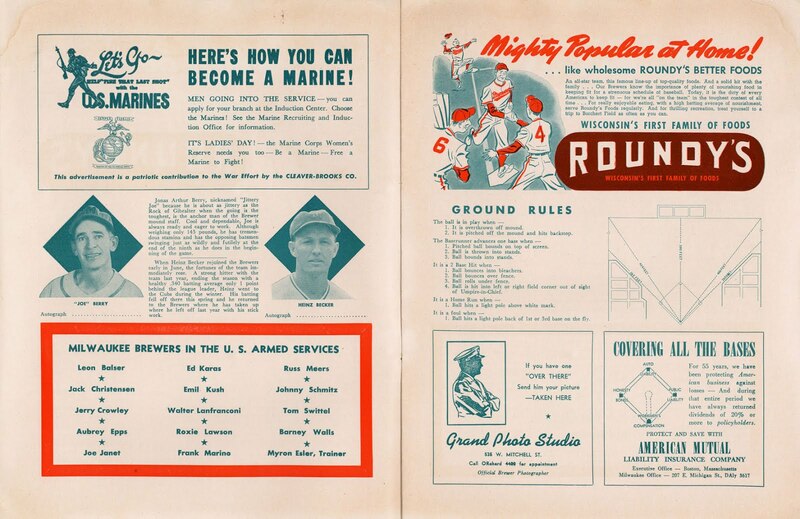 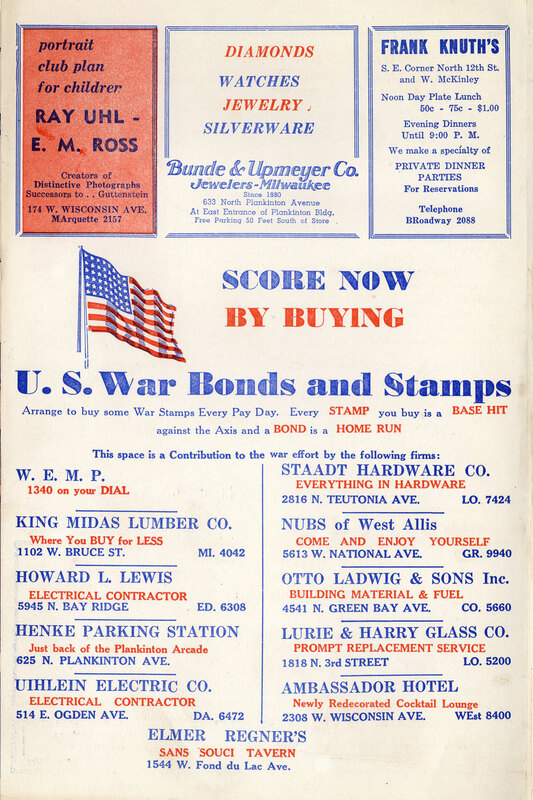 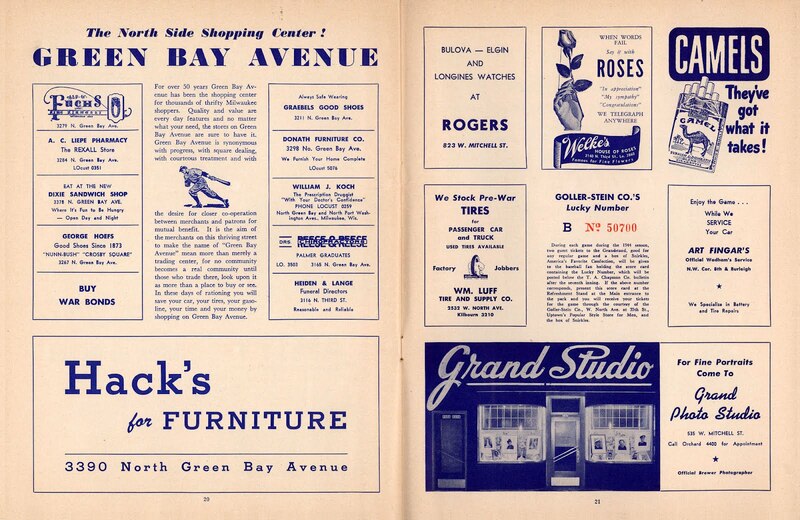 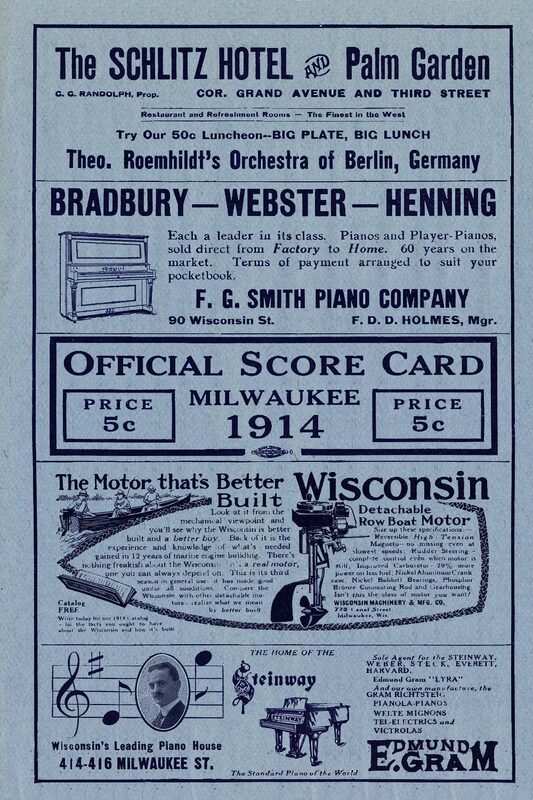 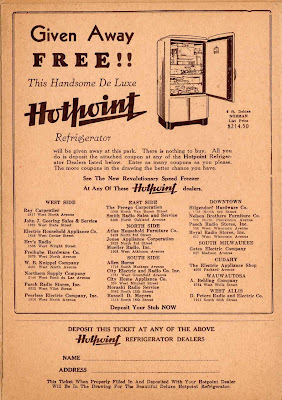 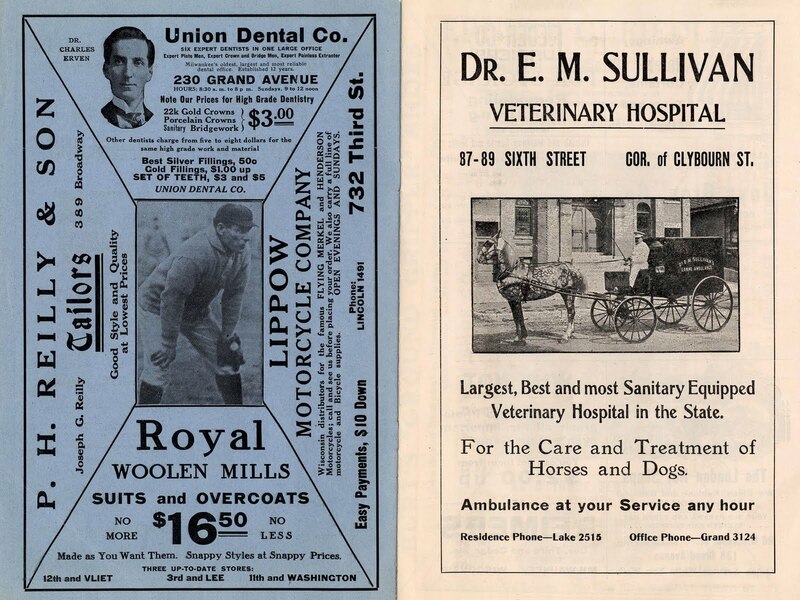 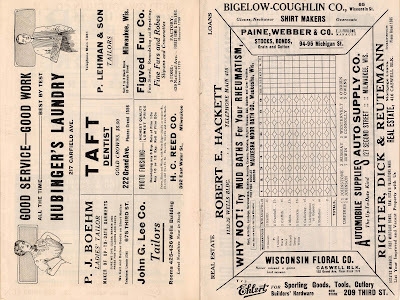 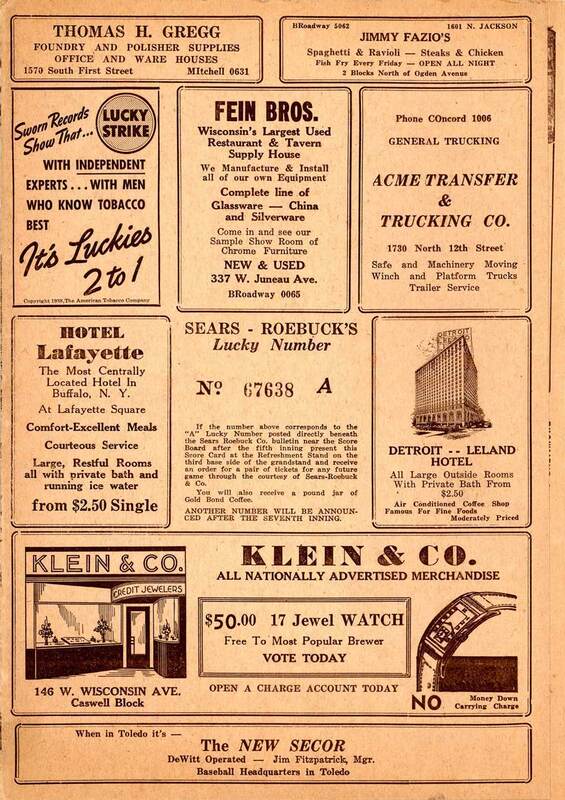 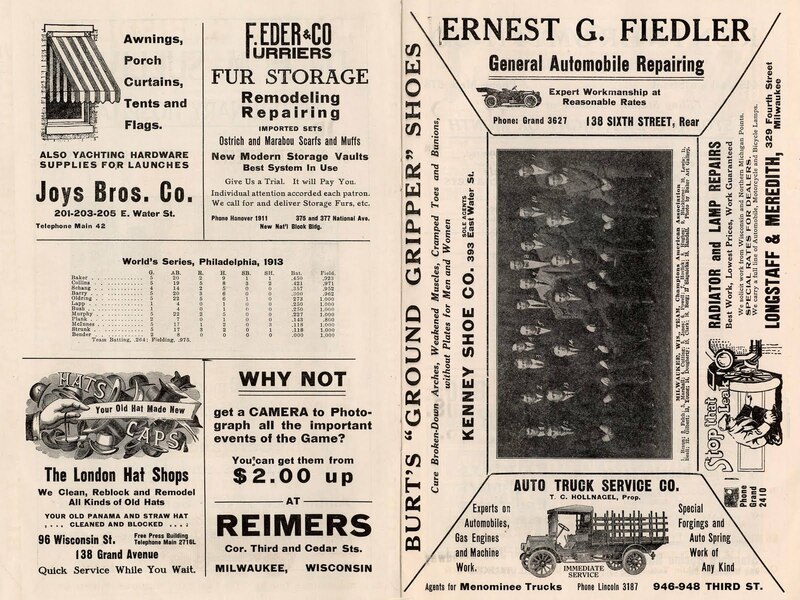 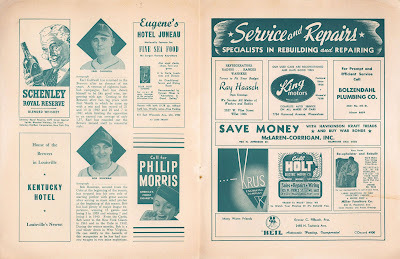 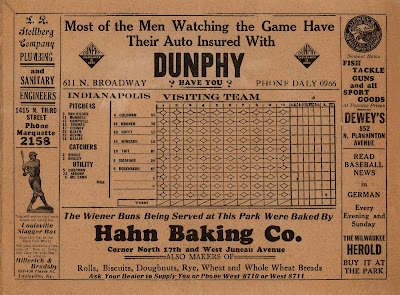 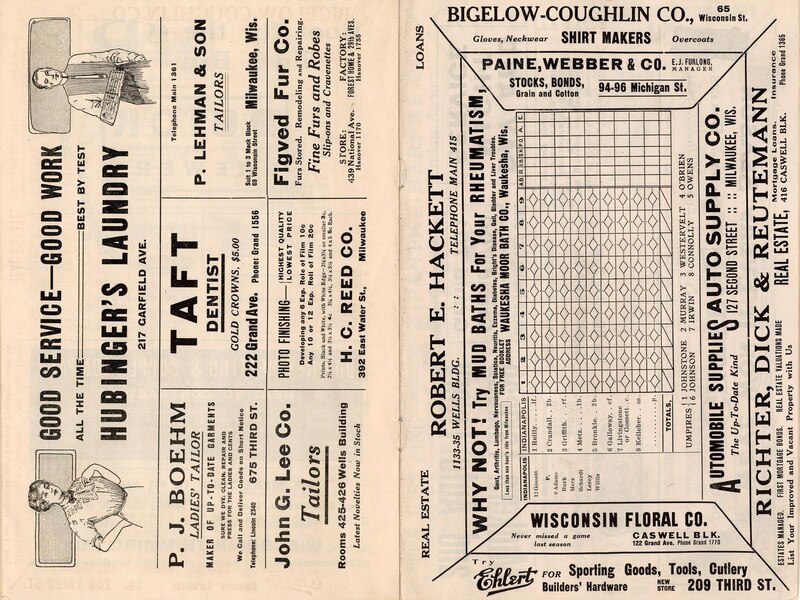 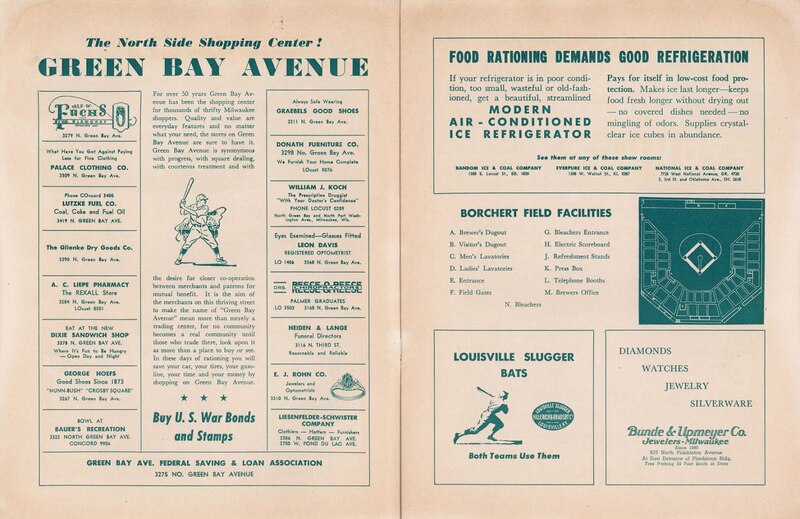 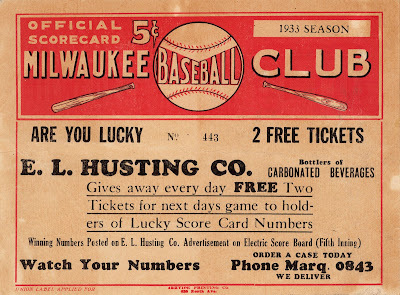 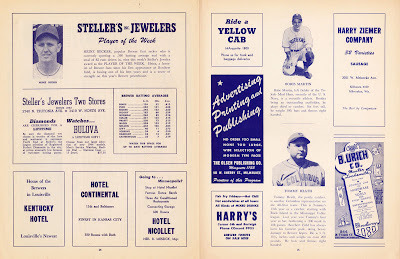 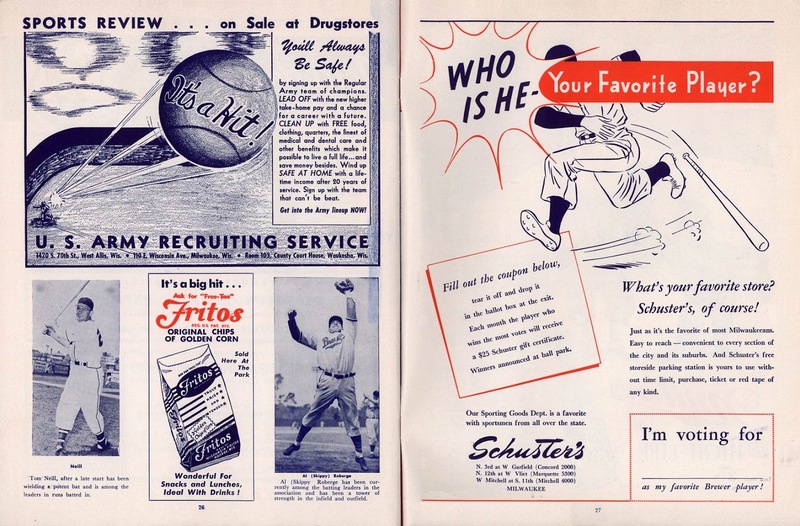 These cards, which varied from simple folded sheets of cardboard to glossy-covered magazines, were sold at Borchert Field during the first half of the 20th Century. 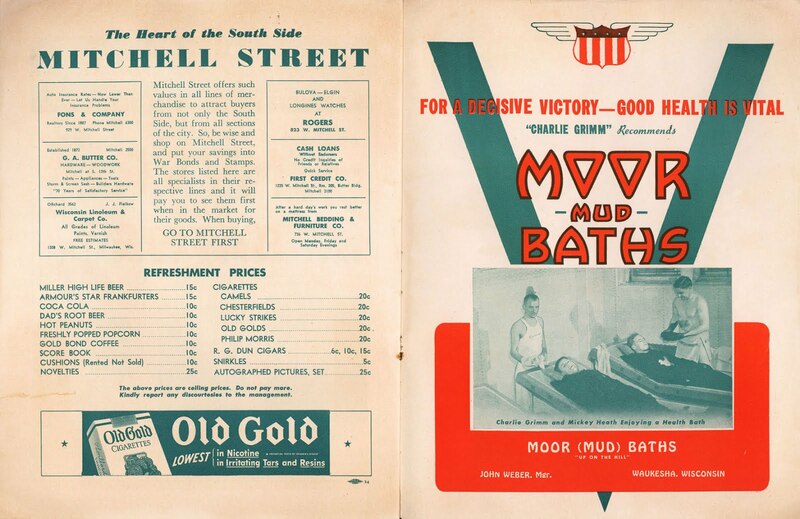 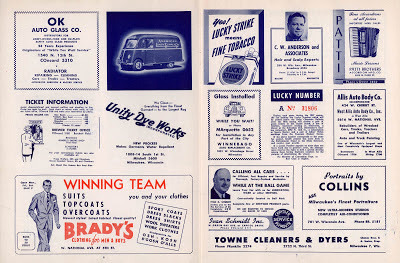 They formed a link between the club and its fans then, and now give us an invaluable window into the Brews. 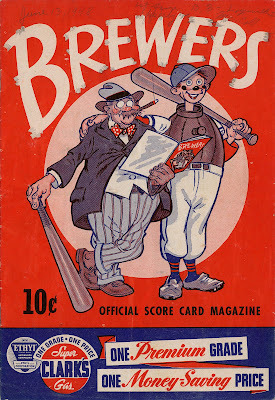 As new cards are reviewed, their pages will be added to this archive. Click on any image to enlarge, and click on the year to read the full article.